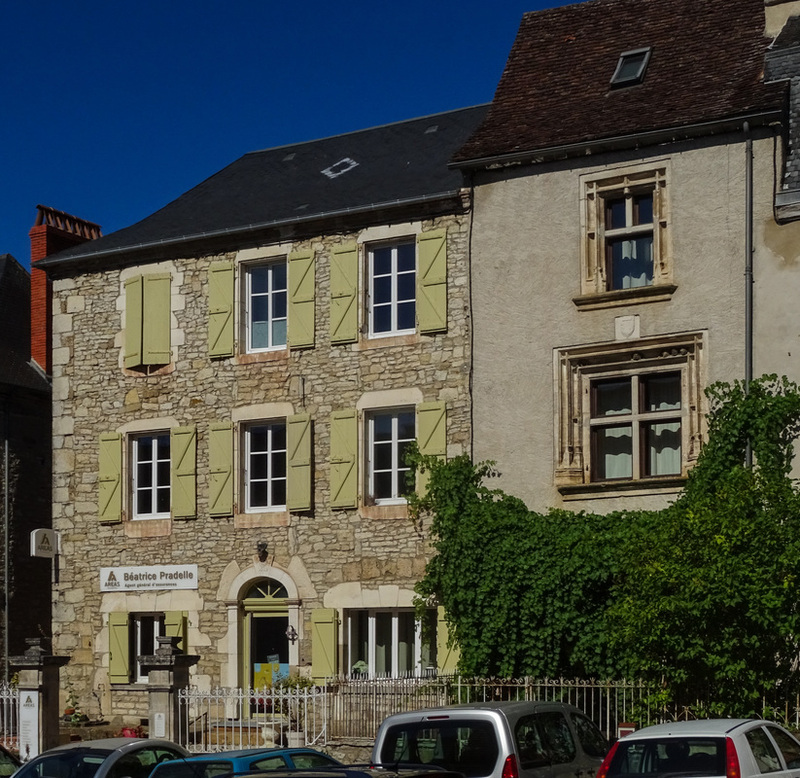 The Association des Amis du Musée de la Raymondie (Friends of the Raymondie Museum) was created in March 2015. 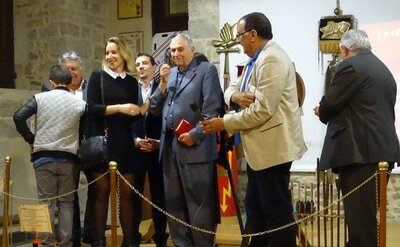 ​ to introduce the pupils to their rich archaeological heritage. The Friends of the Raymondie Museum are pleased to present the 2019 program. You will find various activities including a three-session pottery workshop in spring, exhibitions and conferences. We begin this season in March with a conference on pottery with François Moser. 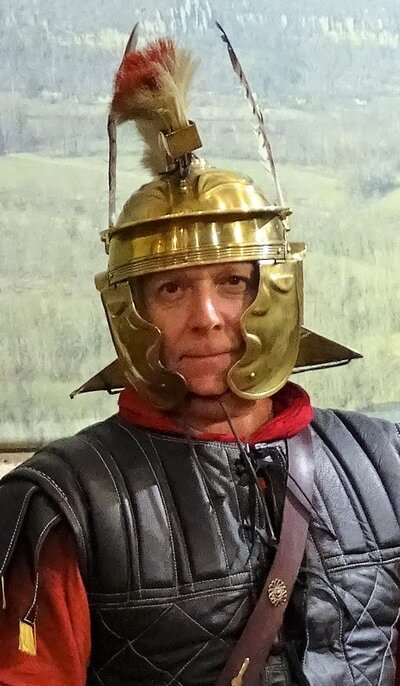 We are a dynamic association, currently working to finalise the Uxellodunum teaching kit for local schools. Having worked on prehistory and antiquity, we are now planning to tackle the Middle Ages with Martel as our preferred subject. Françoise Legendre, watercolour artist, and Elisabeth Foltz, president of the association of the Amis du Musée de la Raymondie, held this event as part of the first festival "Désirs de livre". Françoise Legendre had created bear shapes for the children to draw round, in order to easily create pictures telling a story of cave bears. 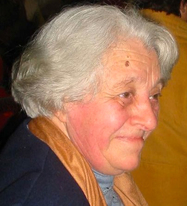 Elisabeth Foltz wrote the text of the stories. The workshop welcomed children of 4, 5 and 8 years old. An opportunity to share a relaxing moment at this summer's end. 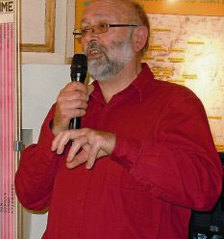 Jean-Louis Thocaven : President of the Speleological Club of Souillac, who presented the discovery of a cave bear sanctuary in Souillac in 2008. Michel Philippe : Paleontologist at the Museum of Natural History in Lyon, specialist of the cave bear in France, who studies our causses of Martel and Gramat, who talked about the cave bear itself, its presence in Quercy, its existence and its disappearance. 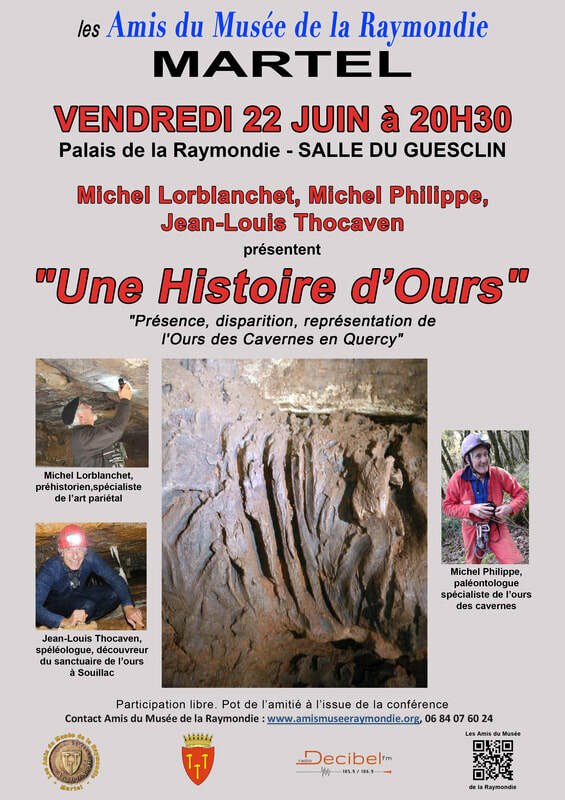 Michel Lorblanchet : Prehistorian, Director of Research at CNRS and well-known specialist in cave paintings. He described how the cave bear is represented in the caverns of Quercy. A number of members of the association visited the site of Piage on the occasion of the Festival of Prehistory organised by the Friends of Piage Association and the Festival Comittee of Fajoles. We were able to visit the excavations being carried out and to see the archeology students at work. 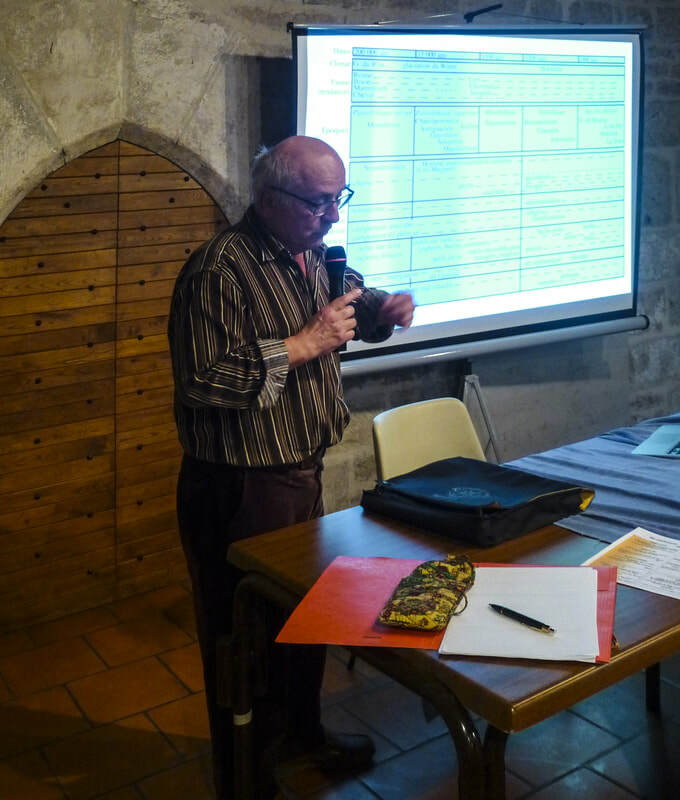 Conference: "The water resources of the causse of Martel and Puy d'Issolud"
With Jean-Paul Fabre, hydrogeologist, author of a thesis on the Blagour resurgence in Souillac. 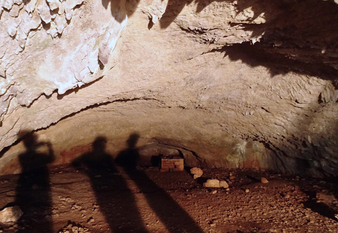 He and his wife are speleologists and worked for a long time with the speleology club of Souillac. It is Jean-Paul Fabre who studied and documented the maze of waters at the Loulié spring. 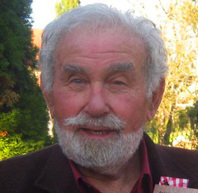 He holds a Ph.D. from the Paul Sabatier University in Toulouse. 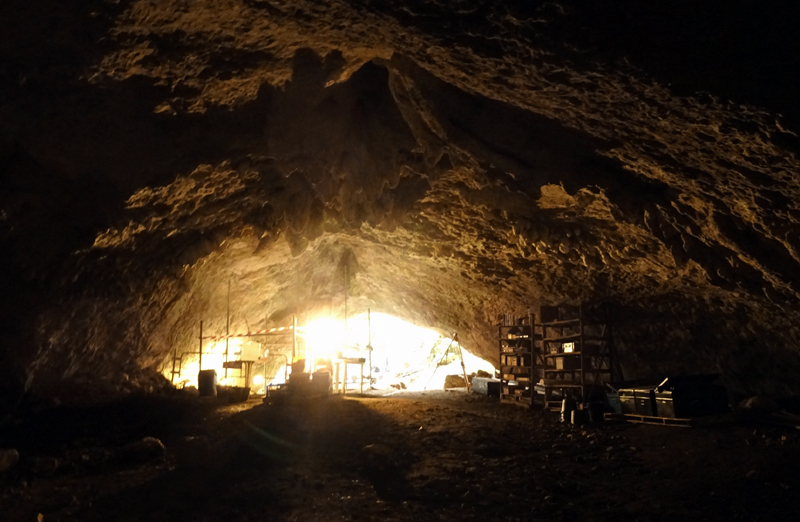 He now practices speleology independently, directly attached to the French Federation of Speleology. He is also a Departmental Hydrogeologist. 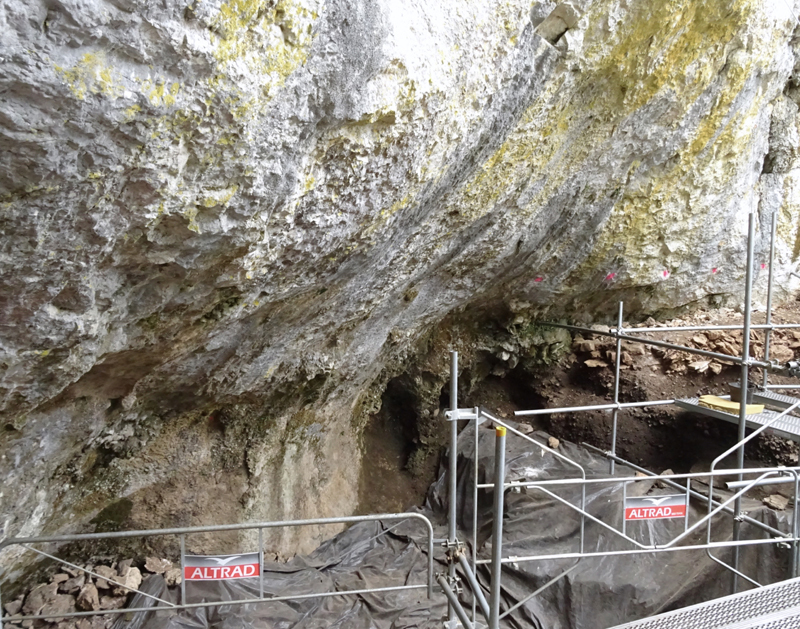 In addition to the study of the major sources of the causse of Martel and their watersheds, as well as Puy d'Issolud, he gave us a general idea of ​​the karstic aquifers of this area. Finally, he offered us a reflection on how they operated in the period of the Gauls. He also answered questions all about the future of these beautiful sources and the abundant resource of water, in the context of our modern economic development. 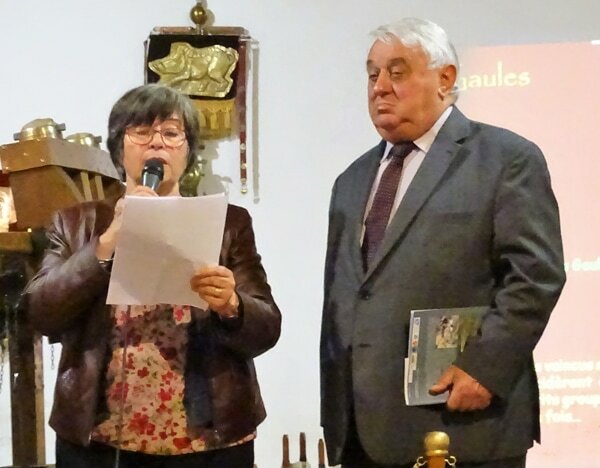 The association of the Friends of Uxellodunum and the Friends of the Raymondie Museum were happy to be associated to present this theme of the water resources of causse de Martel and Puy d'Issolud. The study of the soil and the subsoil of our territory are part of our reciprocal research, so a relevant subject of discussion. At the Museum, we have so far featured the surface soils of the area, through the objects of the whole territory exposed in the Museum, but we would like one day to produce a study of the subsoil, because the two cnnot be separated. 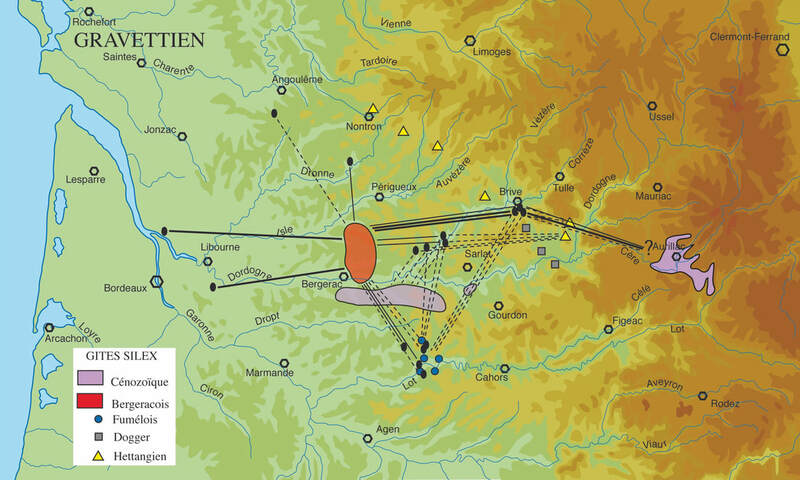 In the same way the Friends of Uxellodunum with their problematic of the battle of Uxellodunum could not remain indifferent to the flow of the sources of Loulié. 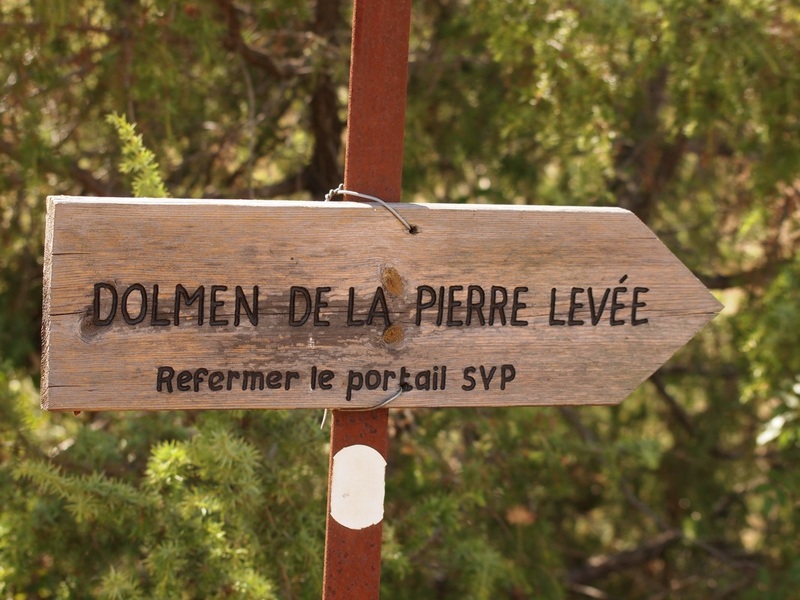 And so the proposal of this conference topic led the two associations to hold this conference in St-Denis-Lès-Martel at the foot of the causse of Martel, facing Puy d'Issolud, with its particular geology. 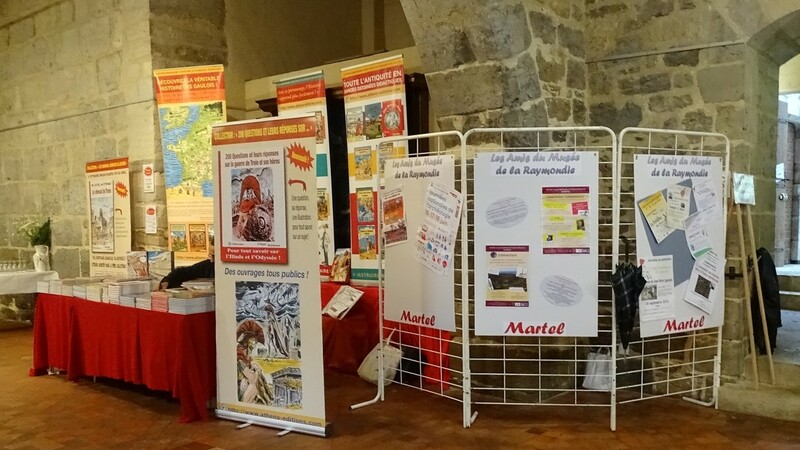 CONFERENCE : "Martel : From market town to law court"
The establishment of numerous merchants and traders and the salt and livestock market of the Middle Ages made Martel a wealthy town. At the end of the Middle Ages, the merchants' place was taken by lawyers. 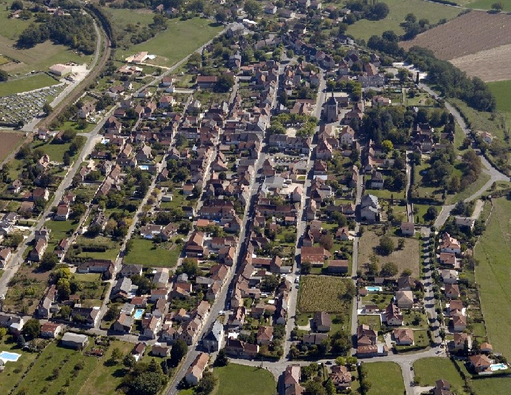 Marguerite Guély explained to us the consequences of this change for the town of Martel. 5 mai 2018 - Conférence : "Medieval bestiary"
with Emilie Nadal, doctor of history of medieval art, specialising in illuminated manuscripts from the late Middle Ages. She talked about the medieval bestiary shown in these often elaborately decorated manuscripts. Émilie Nadal is currently a research engineer at the IRHT (Institut de recherche et d'histoire des textes) of CNRS, and works on the identification and analysis of manuscripts of the medieval library of the Dominicans of Toulouse. The subject of her 2013 thesis, was the Pontifical of Narbonne, a richly illuminated manuscript commissioned in 1350 for Archbishop Pierre de la Jugie. She is interested in manuscripts owned by sponsors in southern France, questions of personalisation of illuminated books and the study of exchanges between artists. Among her publications is her research on the manuscripts of the prelates of the South of France in the fourteenth century (Cahiers de Fanjeaux, 2017, No. 51) and a thesis published in 2017. François Moser of the association OTZIAL. The aim of the organisation is to promote understanding of the techniques used since prehistory as well as their chronology, and to spread knowledge to children and adults through the fabrication of ancient objects using experimental methods. The AGM took place on 21 March. The museum's curator, Anne-Cécile Villechenaud, has recently left Martel, so 2018 will be an important year of change for the association and the museum. 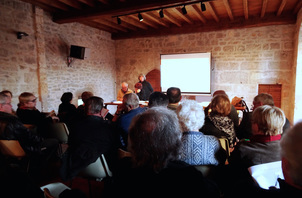 On Saturday 10 March the salle Du Guesclin was again filled - this time with 71 people from the departments of Corrèze, Dordogne and Lot, coming together to hear the very well-documented presentation by the prehistorian Pierre-Yves Demars, on the movement of hunter-gatherers of the late paleolithic era. 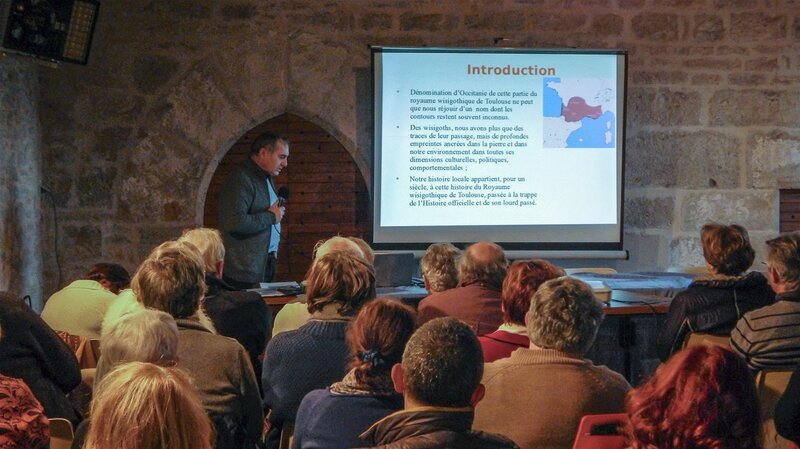 Mr Demars instructively and methodically led the audience to an understanding of the direction of movements of the populations of Cro-Magnon man between the valleys and the plateaux of the region of Aquitaine during this cold period. Hunting principally with stone and flint tools (metal was still unknown at this time), prehistoric man, actually little different from us, had conceived skilful and effective hunting strategies. 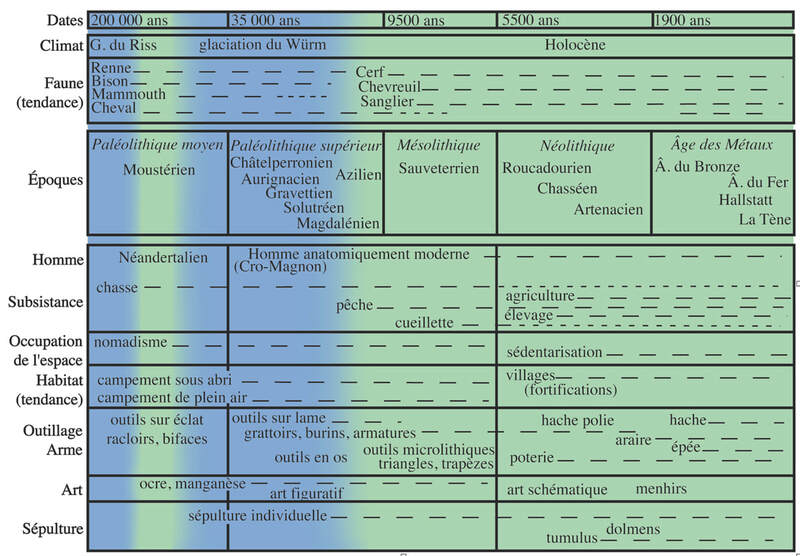 While glaciers covered the French alps and the northern half of the UK, the conditions in the aquitaine basin were favourable : humid grasslands attracting herbivores, warm summers, many flint deposits for the lithic (stone tool) industry (the working of stone/flint to produce of various types and sizes of cutting tools), water courses full of fish, many natural rock shelters oriented to the south or south-east, and abundant game - reindeer, horses, bisons, mammoths. 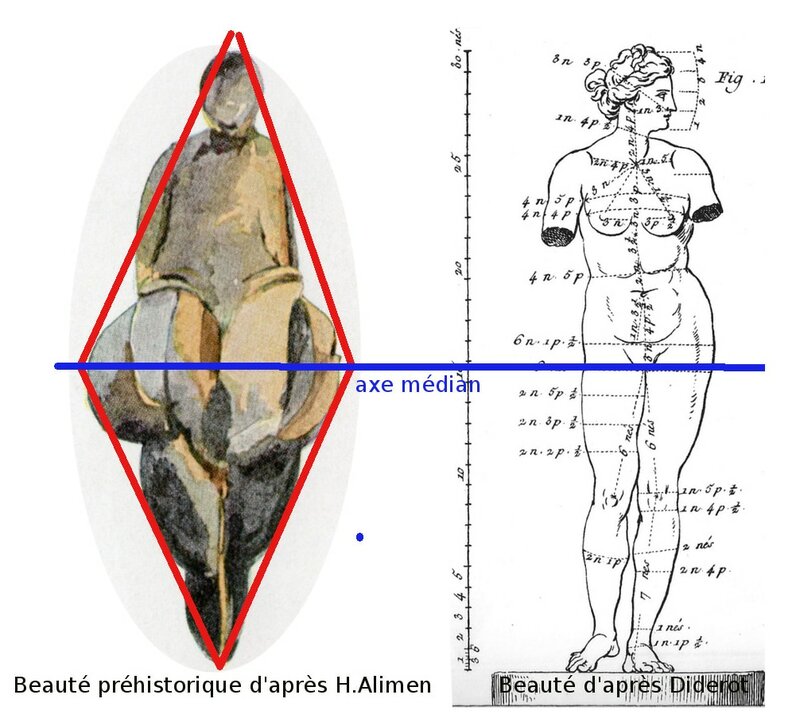 From studies of the types of flint discovered during archeological excavations Pierre Yves Demars demonstrated the total correspondence between the circulation of prehistoric tribes and those of flint tools. 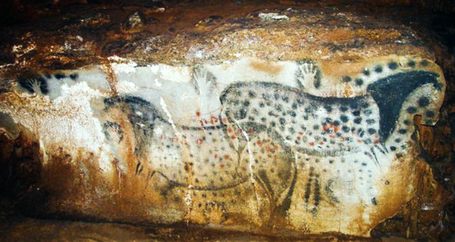 Prehistoric man moved about according to the seasons and the animal migrations. The example of the reindeer is revealing. During the warm season these animals moved in herds towards the east, to the higher land of the causses which served as their summer grazing grounds. In the cold season they moved back down towards the Dordogne valley and its tributary, the Vézère. It was in this area that the populations of reindeer regrouped to pass the winter before dispersing once again the following summer. It was at this relatively narrow river crossroads that these animals were most trapped. 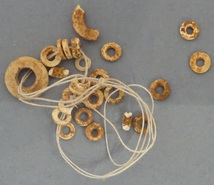 Bartering, exchange of flints and various techniques were thus made during these movements from west to east. The les Eyzies region was at this time the centre of the influence of exchange in Aquitaine. During their roaming in summer some groups ventured as far as the Massif Central to seek out good raw materials. 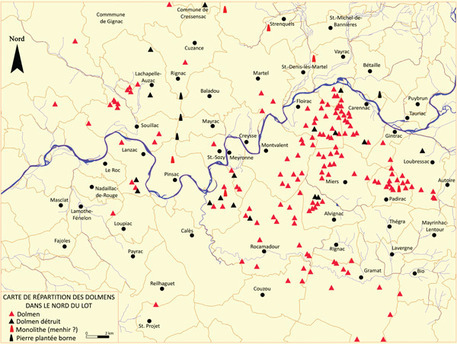 This is the case of the region of Aurillac to the west. The aim was not to stay but to obtain a stock of raw materials. Thus our ancestors lived in a mobile, lively world, where exchanges took place mainly in an east-west direction. Research has shown that bartering was also practised at great distance, between Bergerac and the Pyrenees but, it seems, less frequently. Michel Lorblanchet reminded us that if we could identify the origin of the pigments used in the cave paintings of the region, this would give us a new insight into population movements. But the ban on taking samples has ruined this project. 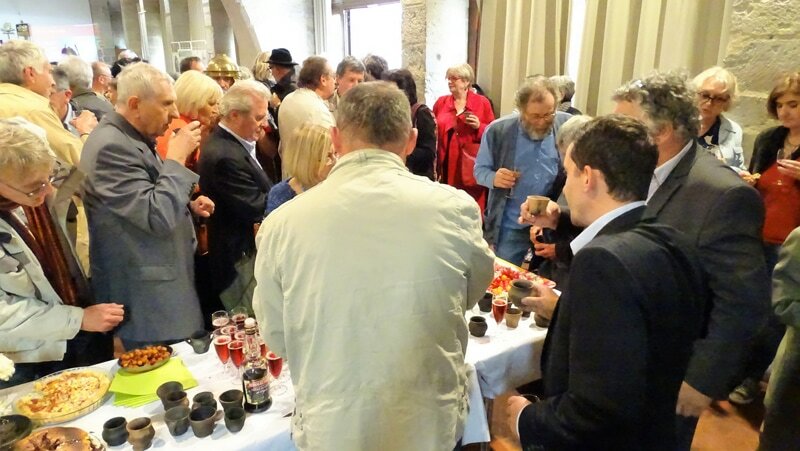 The conference ended with drinks and nibbles. The association thanked all the participants with a reminder to consult this website regularly to keep up to date with events and activities. The exhibition "Uxellodunum" is on display at the Musée de Martel in 2018. 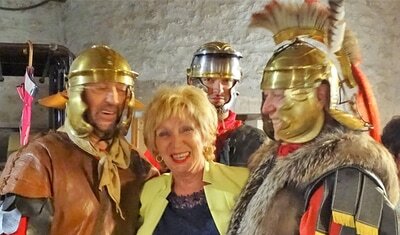 Discover the last battle between the Gauls and the Romans! You will have the opportunity to attend conferences from March onwards, and to come along with your family to participate in workshops. Visits to various sites of local interest will punctuate our year. The association is putting together the programme for 2018, which includes the conference by Pierre-Yves Demars detailed above, for the public. In April, the museum will be welcoming a group of students of Latin from Figeac for a private visit to the museum and site of Uxellodunum. Pottery making in the Gallo-Roman epoch. This year, for the first time, the museum was open for the November All Saints holiday. 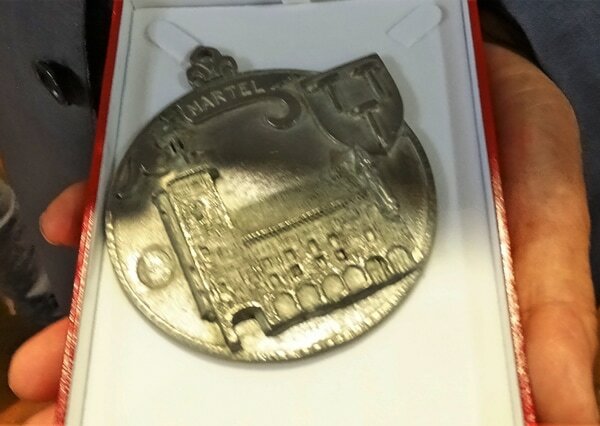 In addition, two "Thursday Workshops" ​were organised : the creation of Gallo-Roman jewellery in collaboration with the association Otzial, and the creation of a model of a Roman defensive construction. These workshops were organised for children up to 6 years old on the afternoons of 26 October and 2 November. 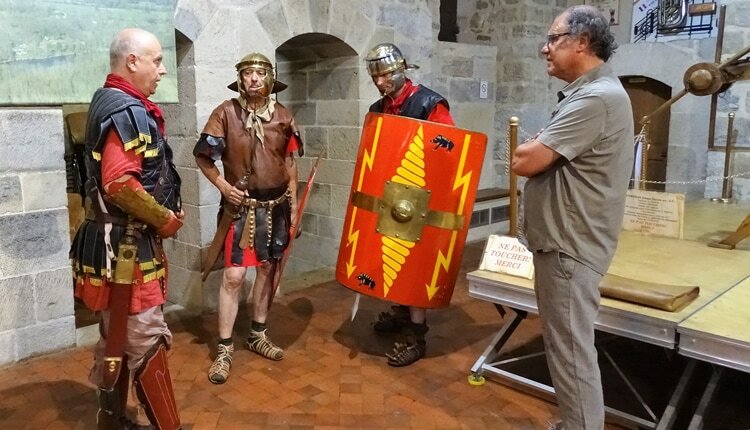 The children were invited to discover the battle of Uxellodunum (Puy d'Issolud) and the history of the place, through the information given by the museum's 2017 Uxellodunum exhibition, archaeological objects and a model, followed by a creative workshop. The museum organised a tour and workshop for young people plus the launch of two game booklets linked to the museum collections (for 3-6 year-olds and 7-12 year-olds) and a permanent workshop on the theme : The museum of imprints, suitable for 3 years and upwards. 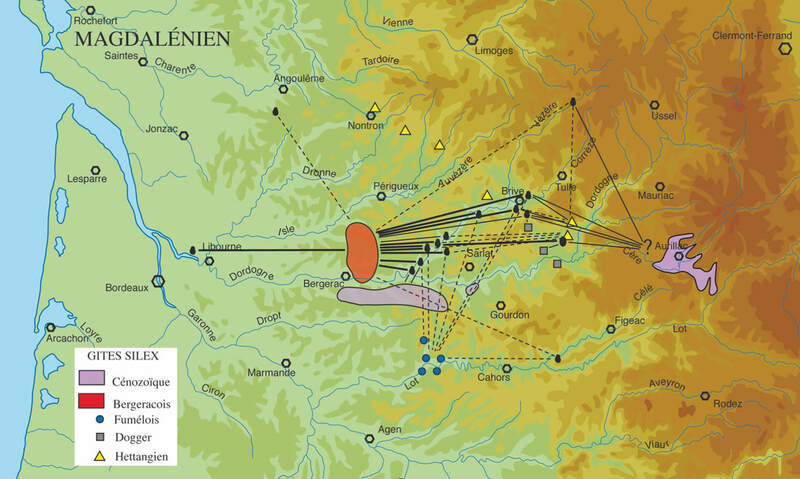 Also proposed were two exhibitions, on Uxellodunum : the last battle of the Gallic Wars and The Dolmens of Lot. The open days envisaged at the site of Uxellodunum will not be taking place on the occasion of the Journées of Patrimoine 2017. The event is currently planned for May 2018. This meeting will take place after the visit of the DRAC (Direction régionale des Affaires culturelles - part of the the French Ministry of Culture) to Martel on 16th November. 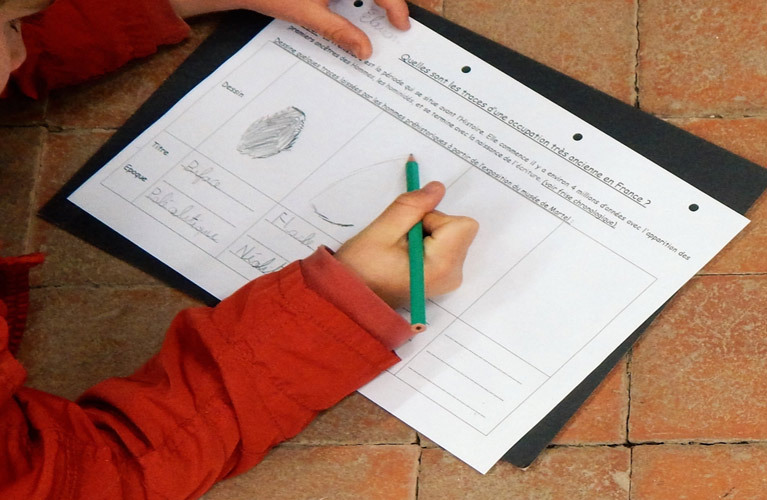 "Learn how to be an archeologist"
Workshops with Anne Cécile Villechenaud, museum manager, graduate of History of Art and Archeology, in the gardens of the Mediatheque in Martel. And of course visits to the museum, with a guided tour of the exhibition: "Uxellodunum at Puy d'Issolud, the last battle of Caesar in Gaul". 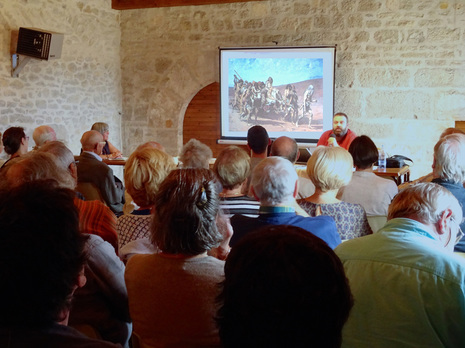 The weekend of the inauguration included two conferences and various events on the theme of Uxellodunum and the Gallic Wars. with Jean-Marie Pailler, Professor emeritus at the University of Toulouse II, former member of the Ecole Française de Rome and honorary member of the Institut Universitaire de France. with Guillaume Renoux, doctor of Ancient History at the Université Jean Jaurès and associate member of UMR Traces in Toulouse (an organisation carrying out archeological research into ancient cultures, spaces and societies). The conférence was held in Salle du Guesclin, Palais de la Raymondie. 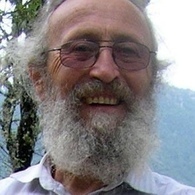 The speaker, François Moser is an experimental archeologist, founder and president of the association Otzial created in 2009 to promote the understanding of techniques used since prehistory. 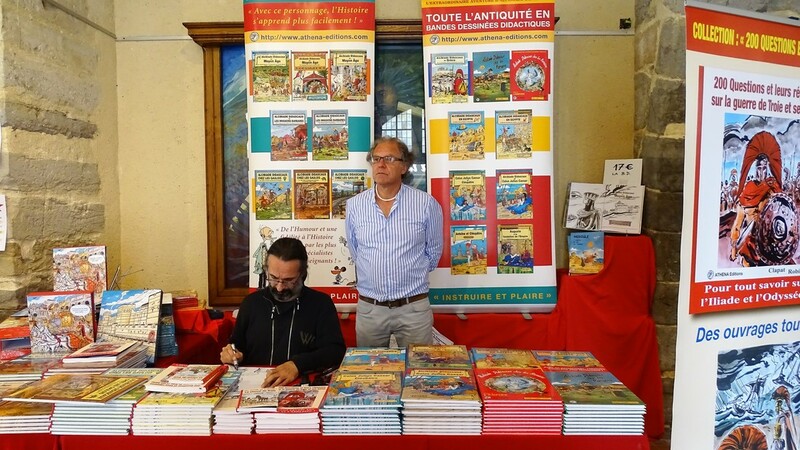 He has worked for the Musée Labenche in Brive and organises events for young people. François Moser showed that it is extremely imprudent to draw conclusions or generalizations about the motivations that have led our ancestors to represent women's bodies. This event was organised by the Friends of the Museum of the Raymondie. The association works closely at a pedagogical level with local schools and the community college who are interested in actively seeking information on local history and heritage. 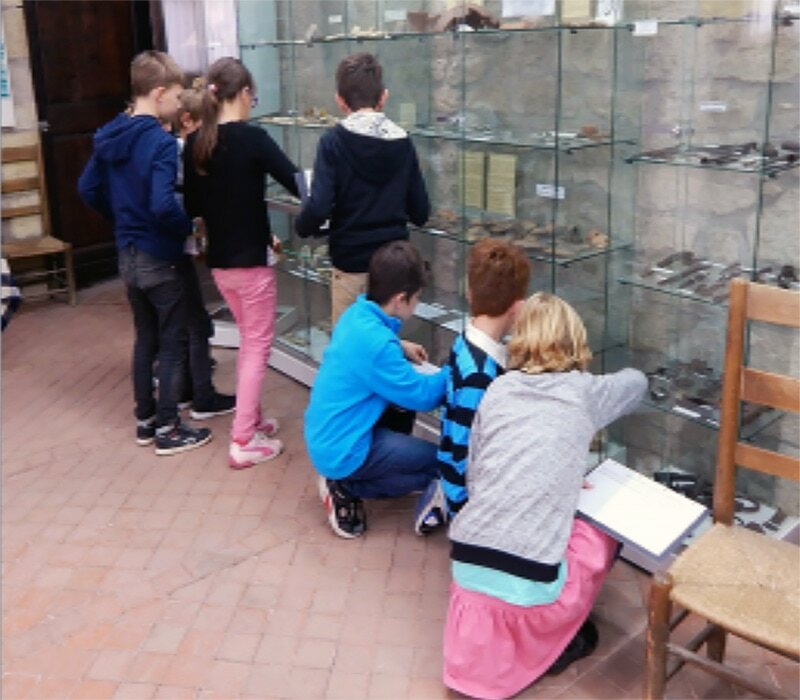 So, on 20 March, two groups of pupils from the college (a dozen) and four pupils from class CM2 of Martel were received at the museum by Elisabeth Foltz (association chairman) and Agnes Schneider (responsible for school liaison). 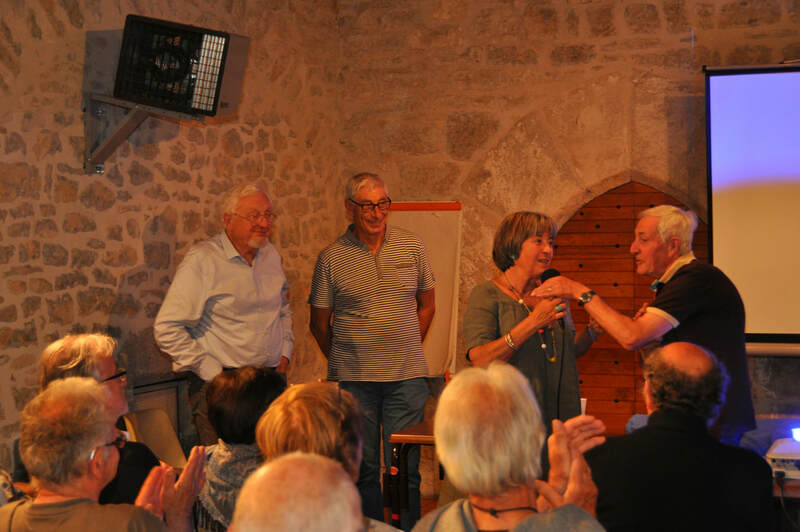 In fact they wanted to meet members of the association to talk about the museum itself and also about the dolmens of Northern Lot, a subject of the museum's 2016 exhibition. Each group had a questionnaire of 10 questions and they also made recordings. Later, in class, they will be writing articles based on the information they gathered. The second conference of the year 2017 was held on Saturday at the Palais de la Raymondie. The speakers were Marguerite Guély, historian, specialist of the Viscountcy of Turenne and president of the Archaeological Society of Corrèze, and Pierre Flandin-Bléty, honorary professor of the Universities, mediaevalist, specialist in the history of consulate cities from the 13th to the 15th century, with particular interest in the Viscountcy of Turenne. This conference attracted and captivated an audience of 70 people from different backgrounds. Martel: Great Seal, round biface (55 mm). with inside a bell tower and a tower. (COM) MUNIS CONSILII. DE M (...). with a coat of arms of bands (Turenne). (... COM) MUNI./CONDSILII OF M (...). Our two speakers sometimes opposed each other, but they were complemented by their respective presentations: the first on the urban origins of Martel, the second on the three seals of the city and their evolution. Ms. Guély began by reminding us what Martel is not. 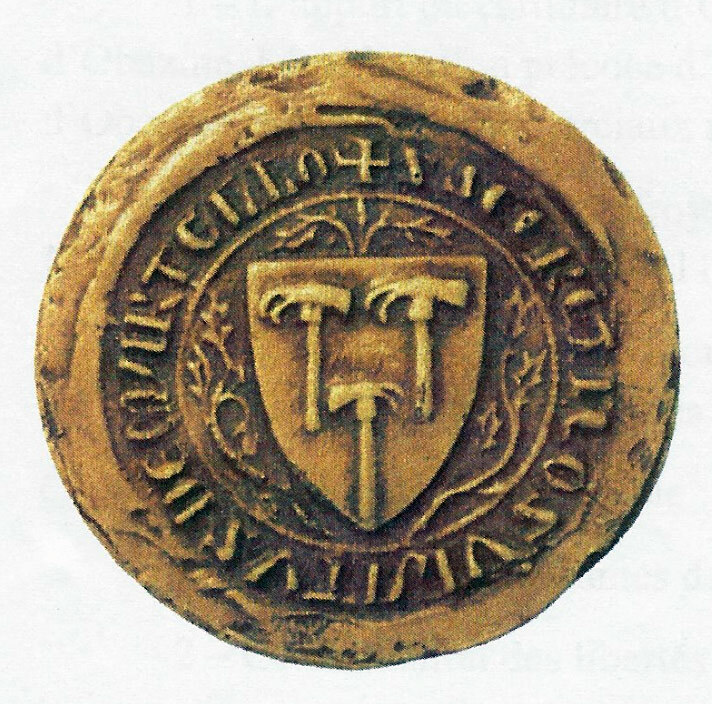 Then Mr. Flandin-Bléty showed the evolution of the seals of the city with a scholarly study. The city of Martel is not a Celtic oppidum, it is not a vicus (small town) or a Gallo-Roman villa. It is not a city founded by Charles Martel as the famous legend originating in the 16th century would have it. 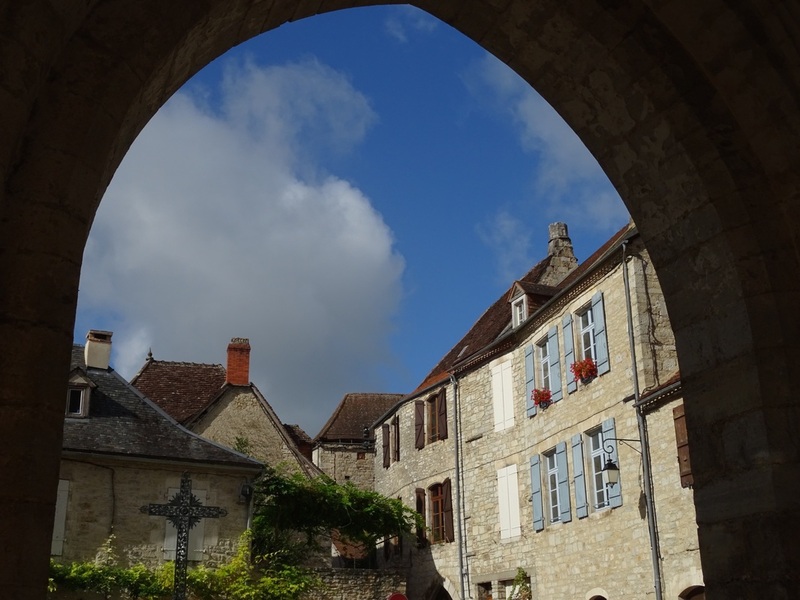 It is not an abbey town like Souillac, which was founded in 950 when Martel did not yet exist. There is no mention in the cartulary (1) of Tulle or Beaulieu for this period. On the other hand, in manuscript sources, Martel or Martell is quoted from 1142 (in the cartulary of Obazine) on the occasion of donations, of houses owned in Martel by neighbouring nobles, made to the abbey of Obazine. 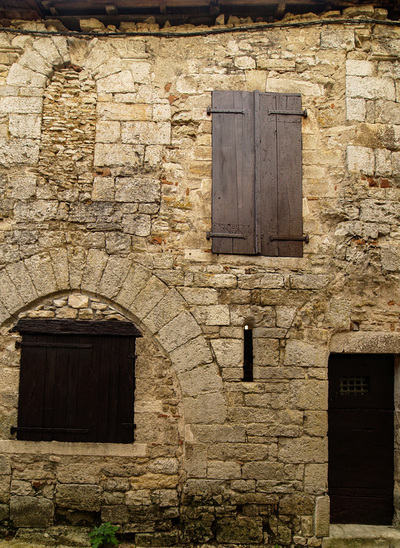 The document, Life of Saint Etienne d'Obazine (founder of the abbey) written around 1180 after his death, also specifies the existence of a house "outside the walls", in the current Place de la Rode, intended for the brothers of Obazine and arranged for “buying and selling of goods”. Martel is also cited in 1153 to possess measures. 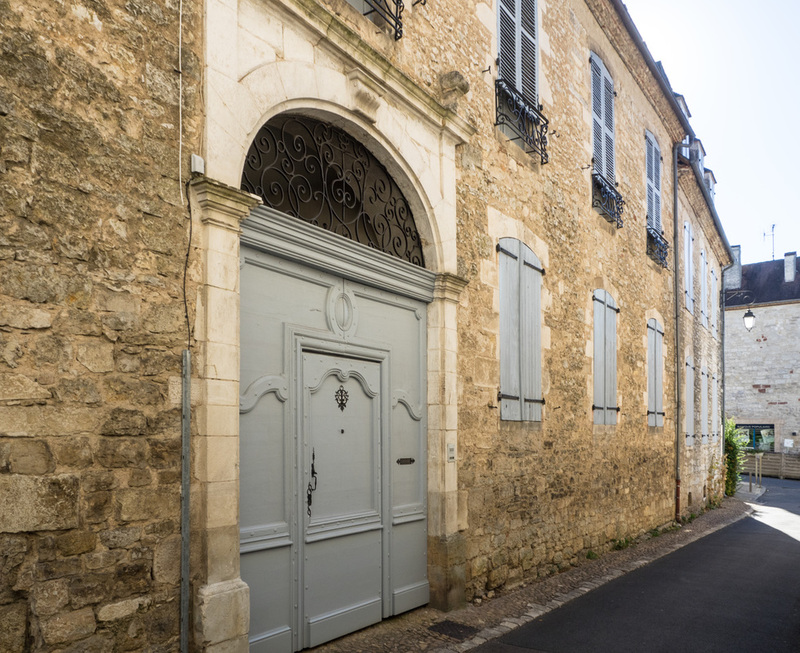 So, the fact that there are houses belonging to nobles, as well as measures, shows that Martel became a new town between the end of the 10th century and the middle of the 12th century. On what specific date we do not know. But how was Martel established? 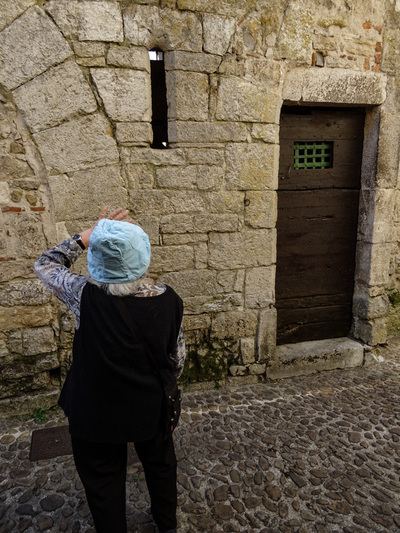 The first hypothesis: A sauveté, that is, a zone of refuge around a church, an area with a boundary delimited by crosses, guaranteeing the occupiers peace and security in accordance with the decisions taken in the 11th century by the councils of bishops and abbots. 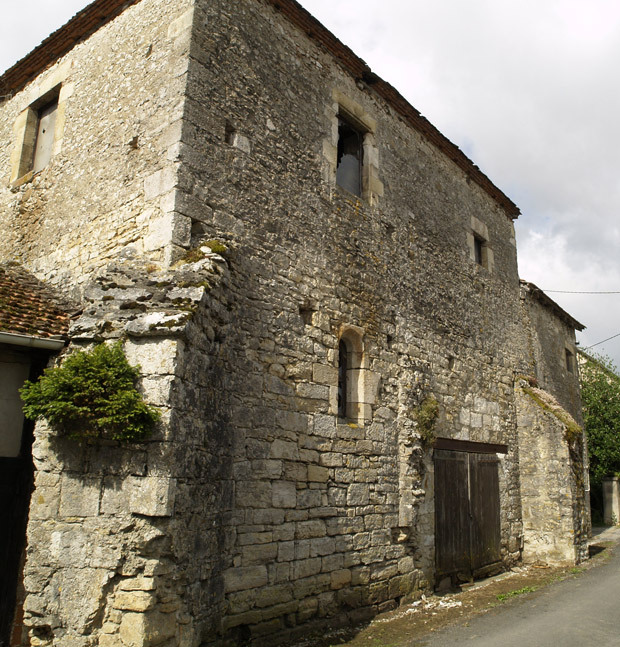 This is a tempting solution because to the east of the apse of Saint Maur, whose cult dates back to the end of the 10th century, there was indeed a church consecrated to Sainte Madeleine. This church, surrounded by a cemetery, partly ruined in 1756, was demolished in 1792. Moreover, Martel is surrounded by numerous crosses, in the same way as Figeac, Souillac, Beaulieu and Carennac. But who would have created this zone of refuge? Perhaps the monks of Souillac (but there are no archives), or the monks of Obazine (but the abbey was founded only in the 12th century). And why is the small village of Madeleine not inside the enclosure of the walled city, the one with the famous measures, attested to exist around 1150? These are questions for the moment unanswered. 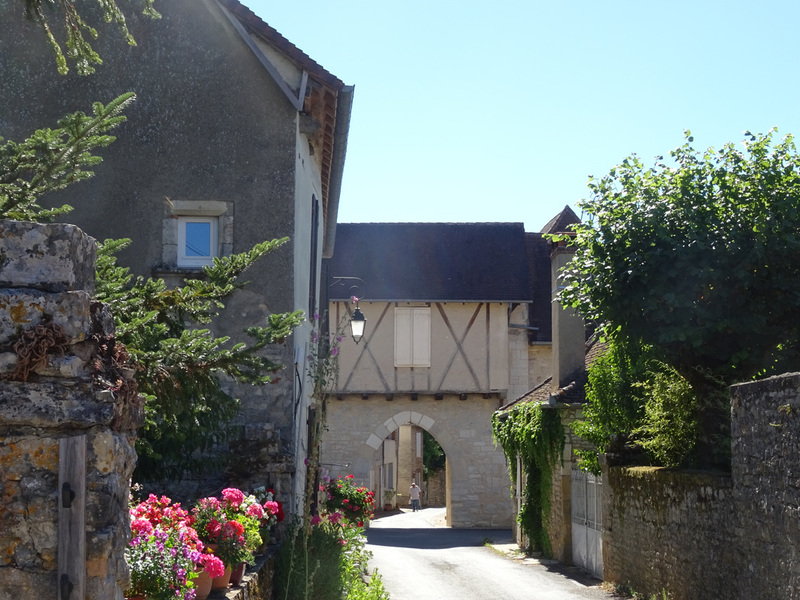 The second hypothesis: a castelnau, a new village founded around a castle. From the 11th to the 12th century new castles multiplied, their presence in a specific place attracting the population, protecting it and giving birth to a village built around the castle. 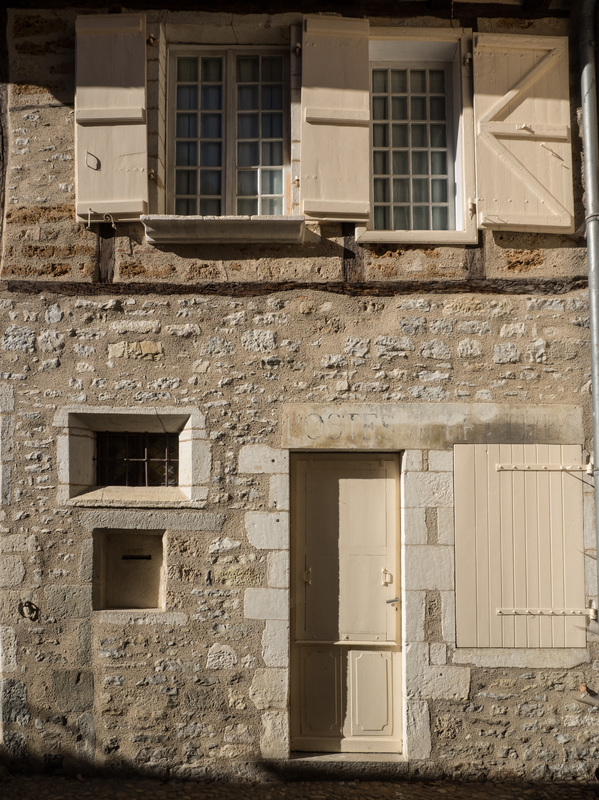 This is the case of Gourdon, Saint-Céré and Carennac. Within the framework of the communal movement, these towns were emancipated from the guardianship of the lord, who granted them a charter. So, was Martel a castlenau? Again, this is plausible. 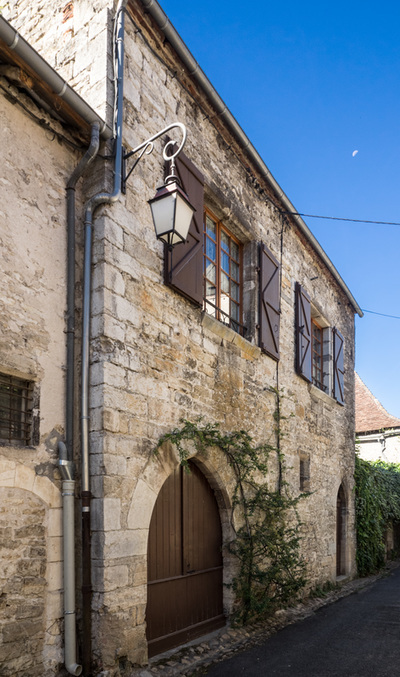 Martel obtained three charters, the first dating from 1219, which is very early considering the customs of Quercy. On this date, Viscount Raymond IV went on a crusade. The second charter was granted in 1235 by the same viscount. It confirms the first and adds tax exemption. He also declares that the tower of Martel will always belong to the Viscount, but will be guarded by the consuls to ensure the watch and the security of the city. On the other hand, among the seals of Martel, on the great seal, there is indeed a castle on the obverse, and on the reverse a cavalier holding a shield and banner with the arms of Turenne. But where would the castle have been? Under the present Palais de la Raymondie? Or attached to the Tournemire tower? Again we have no certainty. Finally, Marguerite Guély put forward a third hypothesis: that of a crossroads city at the intersection of the royal Paris-Toulouse road passing through Martel and Gramat before the 17th century, and the salt road from the Atlantic to Aurillac. 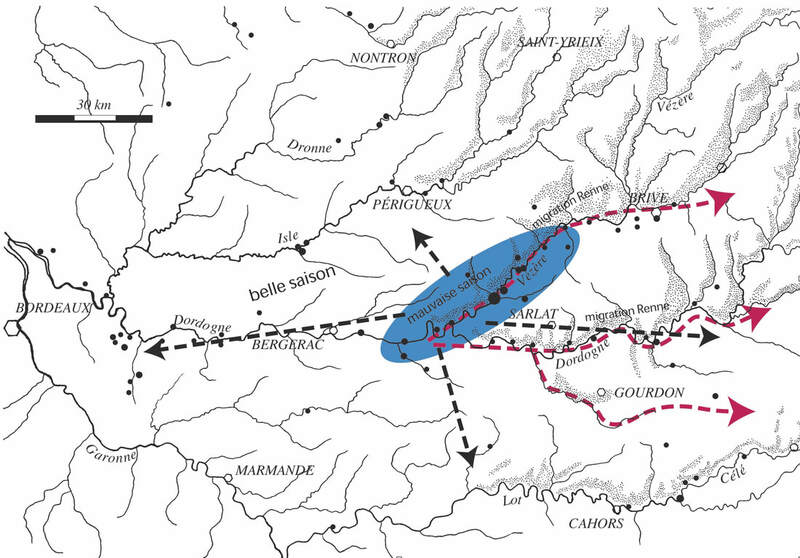 Salt was brought by the gabariers, from the coast, upstream via the Dordogne river to Souillac, where it was unloaded and then followed the Martel-Vayrac land route. Adding this economic dimension to a city that had always defended its crafts and commerce does not contradict the other two hypotheses. To conclude, the town could have originated as a small refuge between the end of the 10th century and the beginning of the 12th and then begun to grow in the 11th century in the district of Sainte Madeleine. This first development may have led to a second, initially under the authority of the viscounts of Turenne, from whom Martel gradually emancipated itself. By the early 12th century, manuscripts show that it was a city in full expansion. And, as expansion also means emancipation, it received its first charter in 1219. A city with two focal points: a castelnau and a sauveté. A city prosperous and market-oriented, exempt from taxes to the lord, that sprang up and developed between the 11th and 12th century initially with the salt market, then with sheep and oxen fattened in the meadows below, with the passage of pilgrims and, perhaps, the breeding of horses - race horses for nobles, post horses and draft horses for agriculture and all kinds of carriages. Note the affair of the horse races offered in 1183 by the Viscount of Turenne to the visiting son of the King of England. This hypothesis could explain the evolution of the seals of the city, from the great seal to the seal of the secret which shows three hammers of a very particular type, those of a blacksmith. 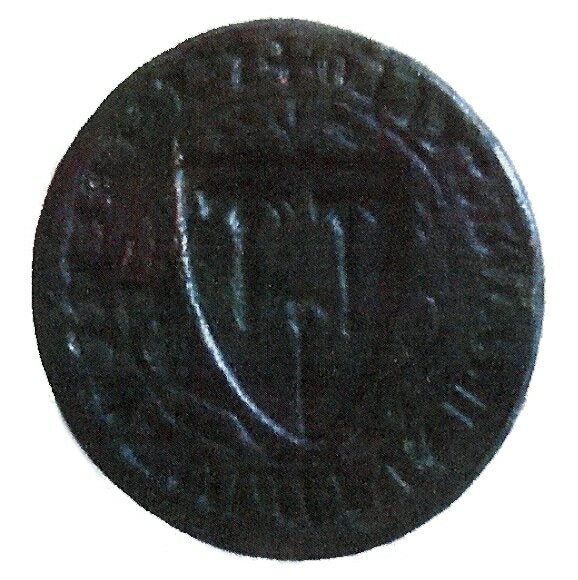 Secret seal, round (45 mm) type of the 14th century. Shield with three hammers and surrounded by foliage. + S SECRETI CO (N) SULATUS OF MARTELLO. Mould described in Charvet Collection No. 1115, p.100. 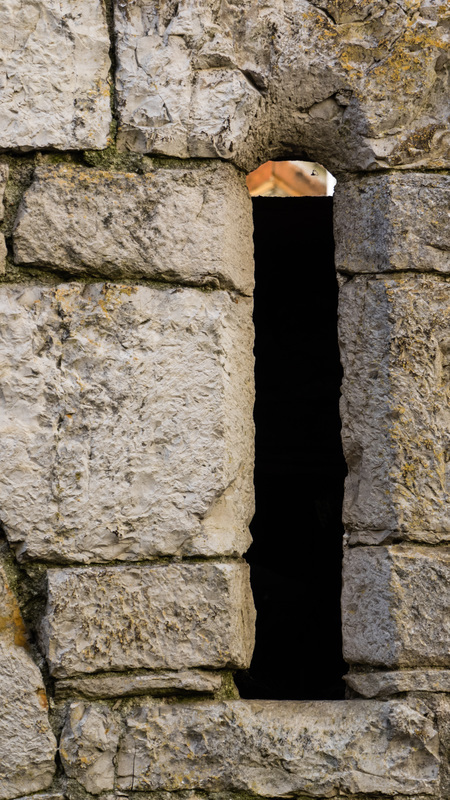 Mouldings: arch. Nat., S 2221; Museum of Cahors. Photo: Museum of Martel. 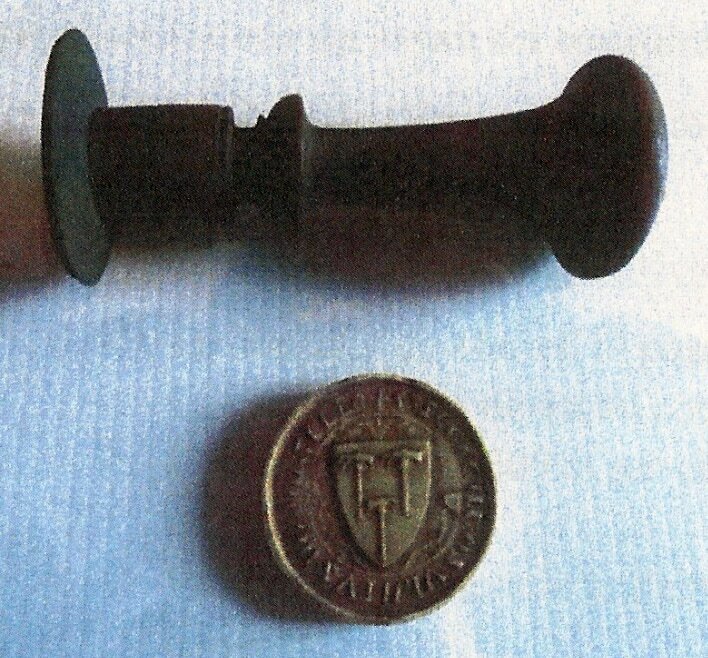 Mould cover (late 19th century) overmoulded on an impression taken from the original mould (Coll. Charvet). (1) A cartulary or chartulary, also called pancarta or codex diplomaticus, is a medieval manuscript volume or roll containing transcriptions of original documents relating to the foundation, privileges, and legal rights of ecclesiastical establishments, municipal corporations, industrial associations, institutions of learning, or families. Members met for the third AGM since the association was formed in 2015, to hear the report of activities and progress from the president, and the financial report from the treasurer. Finally the members of the Administrative Committee and the Executive committee were confirmed by a vote of the members. 2016 was a year of all kinds of activities, working with other associations, within local schools and the organisation of various conferences and outings. The association currently has 66 members who donate, give their valuable time, and who work on varying projects. This demonstrates the association's vitality which continues to take root in the cultural landscape thanks to its website, its conferences and its activities. 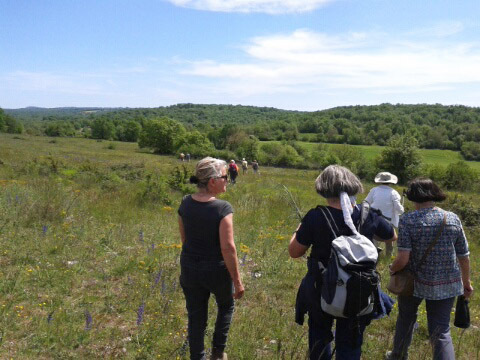 The association was recently integrated into the Steering Committee of the site of Uxellodunum (SMGSU) along with the associations Racines and the Friends of Uxellodunum at Puy d'Issolud. 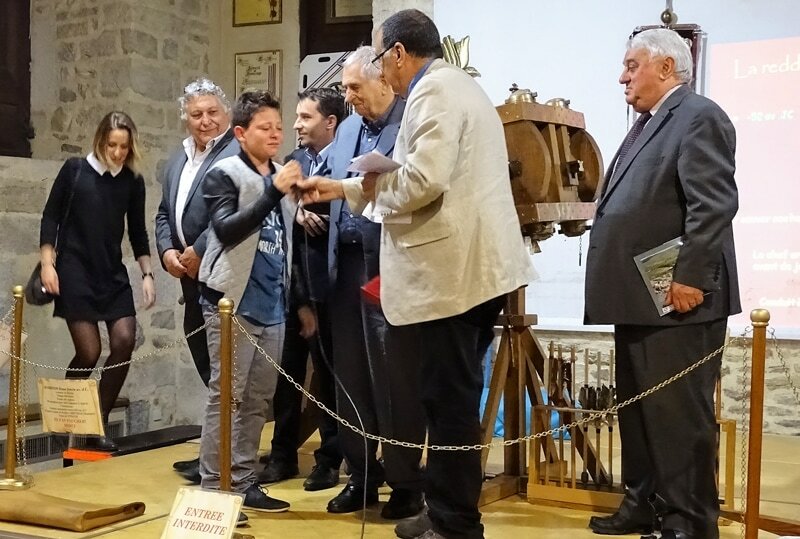 It is supported by the Ministry of Culture, the Department of Lot and the municipality of Martel, which is aware of the importance of the museum and, in particular, what it can bring to the young people of northern Lot. The program of conferences in 2016 was well received by the public, the hall packed on every occasion! And Jean-Pierre Girault's exhibition on the dolmens of northern Lot was a success, especially during the special events of the Journées of Archeology and the Journées du Patrimoine. In addition there was an increase in the number of museum visitors in summer 2016 compared with the previous year. The association members enjoyed three outdoor visits with expert guides - a walk to see the dolmens of Miers with Jean-Pierre Girault and two visits to Martel, one with Marguerite Guély and one with Colette Curtet. Work by Agnès Schneider with the local schools has gone very well and this is being developed. The program for 2017 has already begun, with the conference on the Visigoths in January and school activities in Martel and Souillac. Before June there are three more conferences. Preparation of the Uxellodunum exhibition started in November 2016, and will include an audio-visual presentation on the battle of Uxellodunum and the exhibition, along with the locally held objects from Uxellodunum, of a number of objects on loan from the museums of Villefranche de Rouergue and Toulouse. The association is also planning to produce a pedagogical package based on this exhibition for use by schools in the future. The association held its first conference of 2017 on Saturday 14 January. 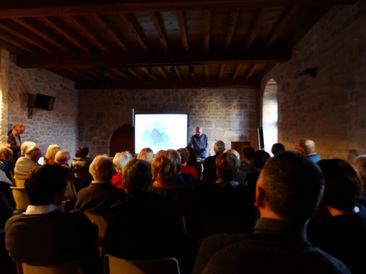 Seventy people attended the presentation by Regis Delbru, retired socio-economist and enthusiastic local historian. He described the traces left by this people of Germanic origin. Originating from Scandinavia, the Goths settled in present-day Poland in the 1st century and reached the Black Sea where they divided into two groups: the Ostrogoths and the Visigoths. The latter settled in Dacia (now Romania) then migrated again towards the west under the onslaught of the Huns. Little by little they became christianised and romanised in contact with the Roman empire. At the beginning of the 4th century the Visigoths became the defenders of the imperial pax romana against the other barbarians. In 418, Honorius, the first emperor of the west, granted them the right to settle in Aquitaine. Taking advantage of the anarchy of Gaul in the 5th century, the Visigoth king Euric extended his territory towards the Rhone and settled in Quercy in 479. Their occupation was of short duration (479-507) due to the death of their king Alaric. He fell under the blows of the Franks of Clovis and this caused the escape of the elites to Spain. Unfortunately, local book-burning destroyed most of the writings of these Arian Christian peoples considered heretical by the Papacy. The only documents in existence are a few letters and accounts of Sidonius Apollinaris plus certain manuscripts held by libraries in England. 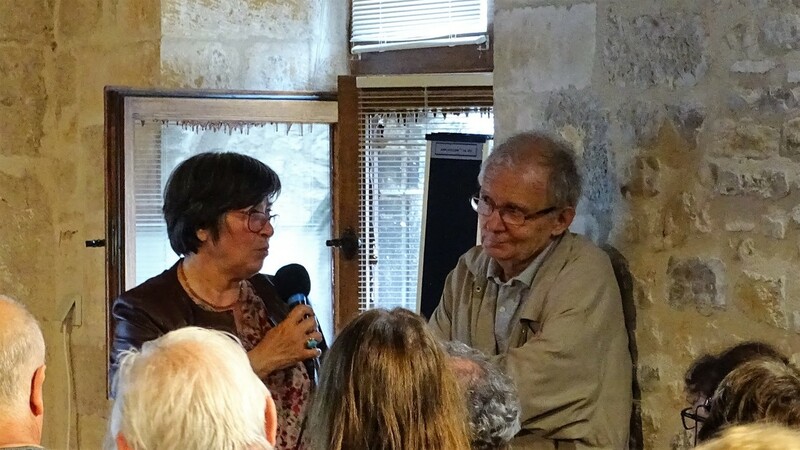 However, Régis Delbru aroused our curiosity by describing what he believes are the traces of the passage of the Visigoths in Quercy. 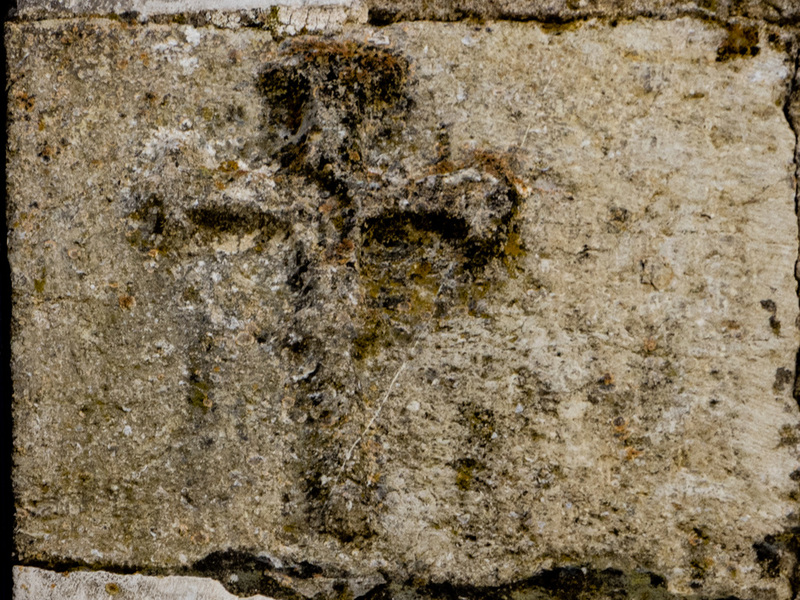 Traces in the Romanesque churches, with re-used carvings such as images of bears - a fetish of the Visigoths, and traces in local place-names like Le Goth or Gautié. This conference has definitely encouraged us to look more closely at our region... The meeting closed with a drink. The CM1 class at Martel welcomed Agnès Schneider from the association, a former schoolteacher, who talked to the pupils about the Celts, and in particular the Gauls. 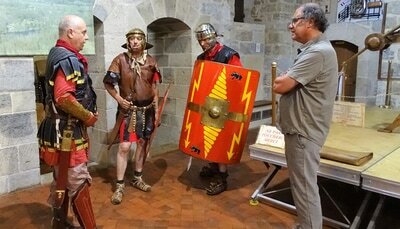 Further sessions will take place in May, introducing Alesia and Uxellodunum. 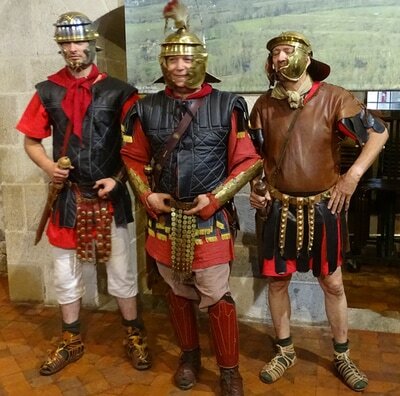 The pupils will visit the Uxellodunum Exhibition at the museum in June. They will be undertaking a heritage project and at the end of the school year will most likely be visiting Cahors to see the Gallo-Roman traces in the town. Go to the LIBRARY to download the leaflet produced by the Parc Naturel Régional des Causses de Quercy. This new version of the site, reorganised to improve usability and access to information, is available both in French and English. 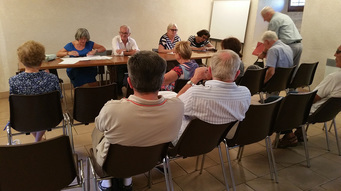 The association has started work on the design of next year's Exhibition on Uxellodunum based on the work of the archeologist Jean-Pierre Girault, in collaboration with the two associations Amis d'Uxellodunum and Racines, including the preparation for exhibition of objects found at Puy d’Issolud. 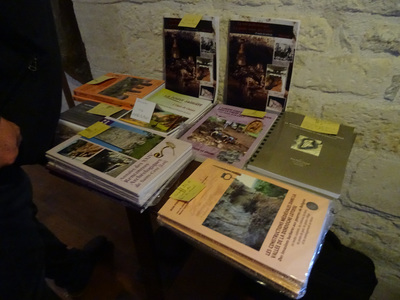 EXHIBITION on the DOLMENS OF NORTHERN LOT available for hire ! 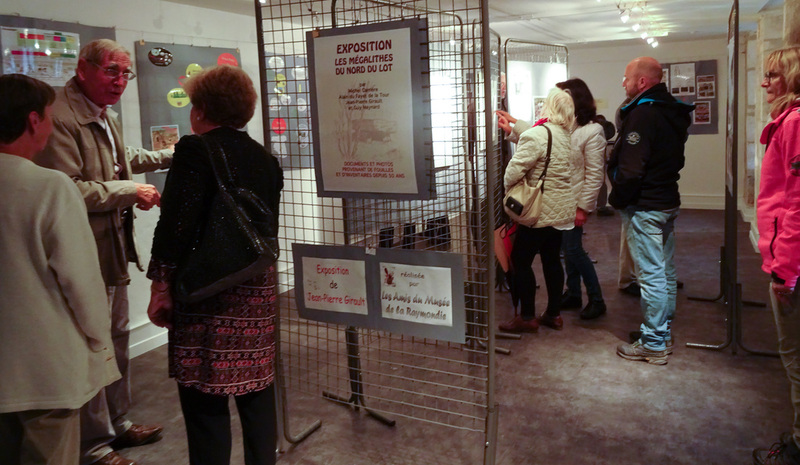 The exhibition Les Dolmens du Nord du Lot, on display in the museum in Summer 2016, is available. A collection of photos and texts (in French), conceived by the archeologist Jean-Pierre Girault and produced by the association, presents the rich megalithic history of northern Lot. 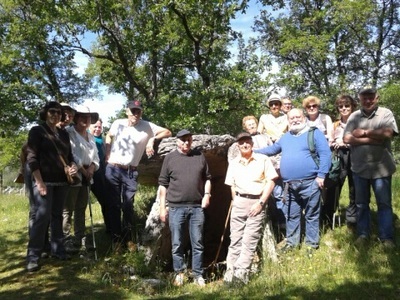 The exhibition on the dolmens of Northern Lot, created by Jean-Pierre Girault and installed in the museum by the Association this summer, moved to Miers this weekend to complement this event organised by the Parc Naturel Régional des Causses du Quercy. The walk was followed by a conference with Vincent Ard, prehistorian, charged with research at the CNRS. In 2016 the team of guides sharing the job of welcoming visitors to the museum comprised 16 people in total. The work of classifying objects for exhibition in the museum is continuing. Work has taken place on the reorganisation of labels and display cases and also on the fabrication of display panels for the presentation of important exhibits, in order to improve homogeneity and clarity. Various new exhibits have arrived in the museum and in the deposit. The cave bear display case (from Michel Espéret, Jean-Claude Eyma, Jean Paul Fabre), the collection of flints from Michel Delprat, a brooch and another item from Roger Millet, plus other items currently being registered. The reorganisation of the museum's exhibits has resulted in more space and light. 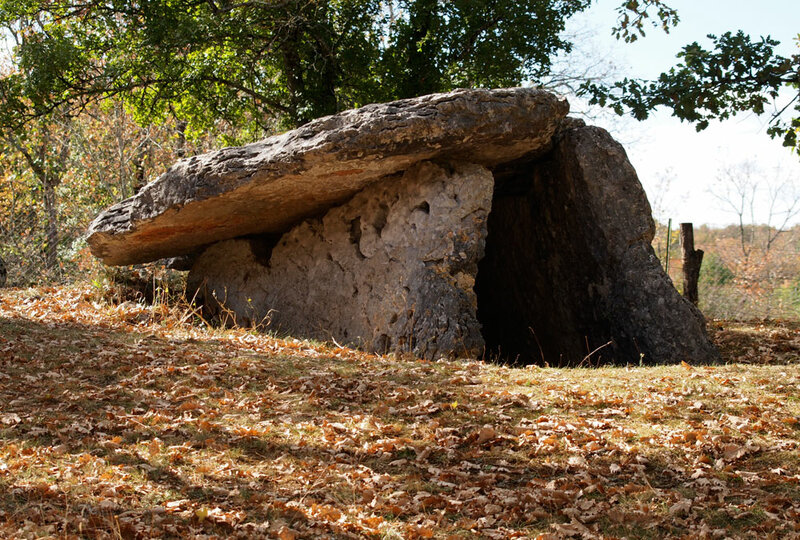 Work with local schools on the theme of dolmens by Agnès Schneider. 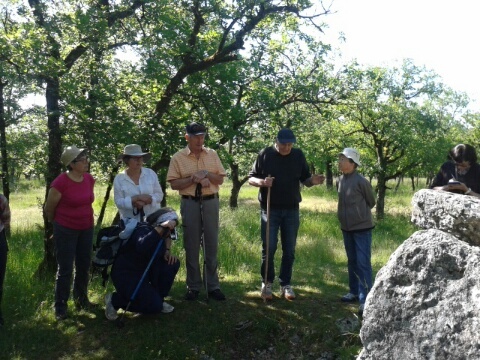 A guided walk on dolmens with Jean-Pierre Girault. A guided walk of Martel with Marguerite Guély. The organisation of four conferences - with Jean-Pierre Laussac, Jean Gasco, Marguerite Guély and Jean-Pierre Lagasquie. 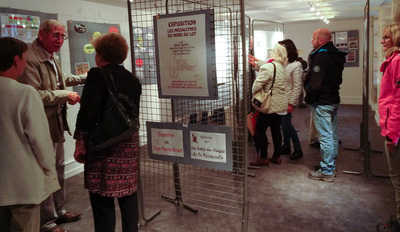 The Journées Nationales de l’Archéologie and the inauguration of the exhibition : 187 visitors (compared with 65 visitors in 2015). 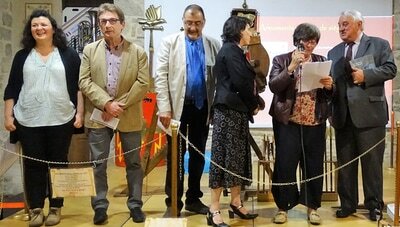 The Journées du Patrimoine : 432 visitors to the museum and more than 110 attendees at the conference. Opening the museum on Sundays next summer will be considered. The museum's signage in Martel needs to be improved. 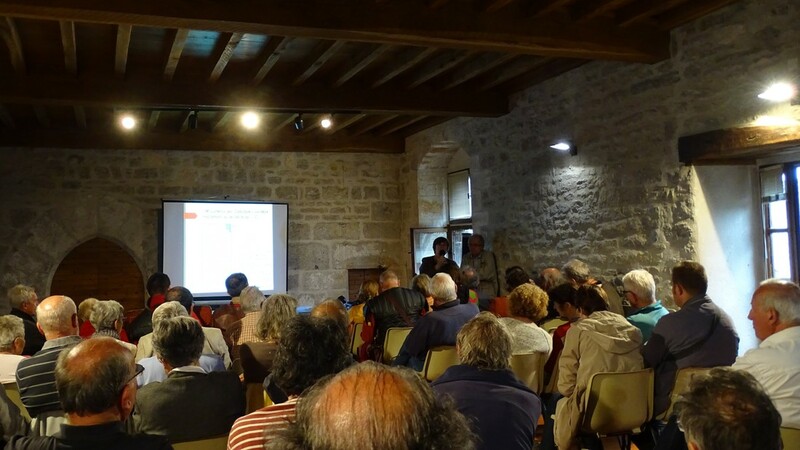 This weekend was a great success for the association, both for museum admissions and for attendance at the conference by Jean-Pierre Lagasquie on the Dolmens of Quercy. 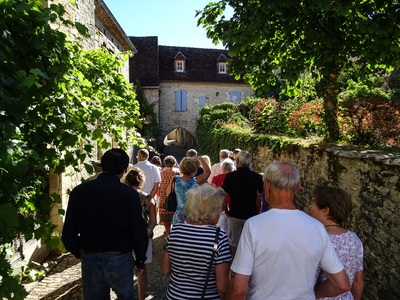 On the two days, 432 people visited the museum and were able to take advantage of the presence and the knowledgable commentaries of the archeologist Jean-Pierre Girault who acted as guide for this special weekend. 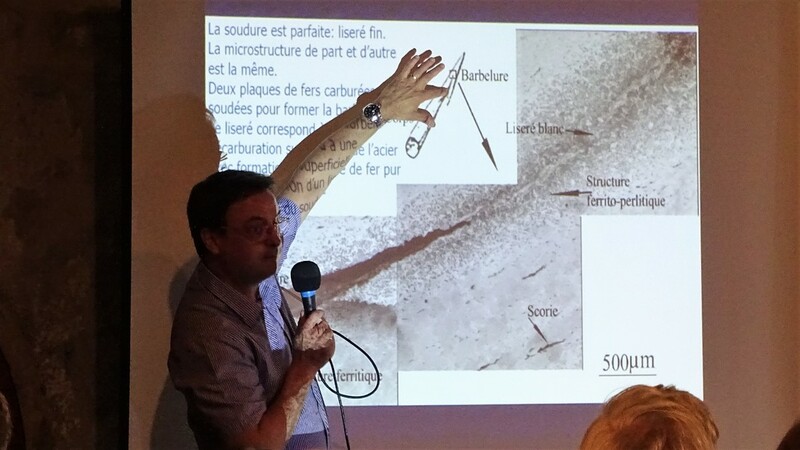 The association welcomed Jean-Pierre Lagasquie, archeologist and Doctor of Prehistory, who talked to a packed room about the dolmens of Quercy on the occasion of the Journées européenne du patrimoine. The department of Lot is particularly rich in dolmens, many of which have been shown by recent excavations to be highly complex structures. 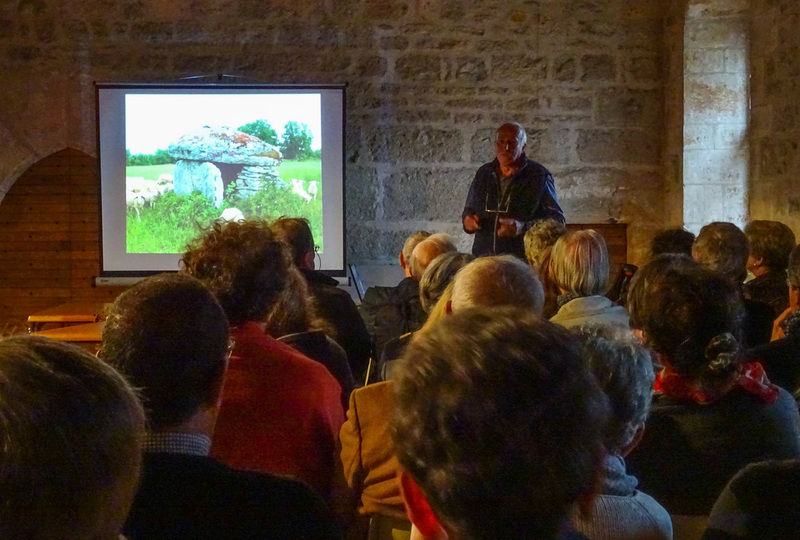 Jean-Pierre Lagasquie illustrated his interesting talk with photos of his favourite megaliths - like the imposing dolmen of Aguals at Gréalou, set in an enormous tumulus, 29m in diameter and 3.8m high. 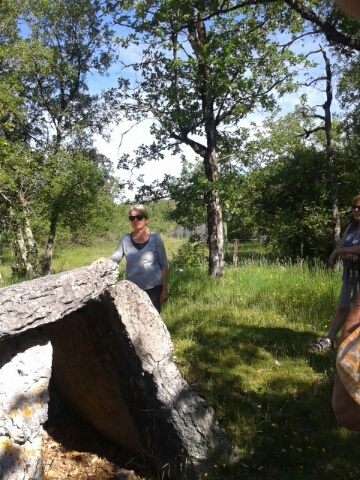 This dolmen lies on the border of two communes, Gréalou and Montbrun, and on two parcels of land with two different owners making it a complex task to obtain the appropriate permission to cry out excavations. Jean-Pierre worked on this dolmen for six years. The internal organisation of the mound was complex, with a classic wall in the centre surrounded by a circle of cut flagstones and, at the base, a circular cladding. The infill between these internal structures was made up of irregular blocks, many of them every large, with no apparent organisation. Jean-Pierre Lagasquie reminded us why the dolmens of Quercy deserve to be protected for the generations to come. Sadly many were pillaged in the past and you could say that nowadays all we see is the skeleton of the original complex structure once buried in its tumulus. But many dolmens and tumuli are now in the process of being completely destroyed through a lack of protection and a lack of recognition of the historic and anthropological value of these very ancient tombs. 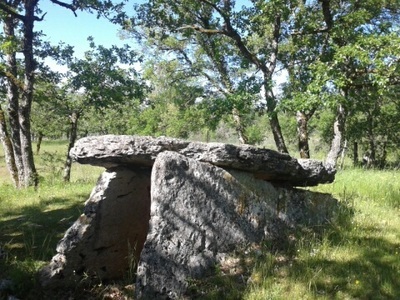 Dolmens are important, symbolic religious sites often used and reused over millennia. 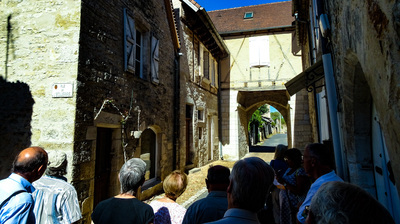 A group gathered next to the market hall, under the hot summer sun, for a guided walk in the old streets of the town, organised by the association with Marguerite Guély, historian, specialist in the history of Martel. She led us through the maze of streets, pointing out the old buildings that once housed the various hospitals, inns and guesthouses of the town. On 18 June, in the museum, on the occasion of the Journées de l'archéologie, the association and the mairie of Martel inaugurated the exhibition conceived by Jean-Pierre Girault and organised by the Association of the Amis du Musée de la Raymondie, in collaboration with the Association Racines of Alvignac. 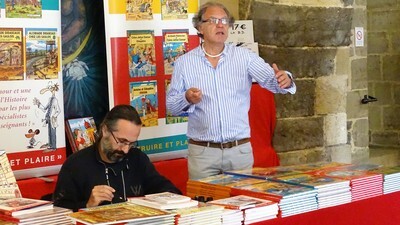 The conference by the prehistorian Jean Gasco attracted a diverse audience of 80 people including the mayor of Thémines, members of the Martel council, local speleologists and local personalities from the world of archeology, including Jean Pierre Girault, Michel Lorblanchet, Pierre Billiant and Gilles Fau. 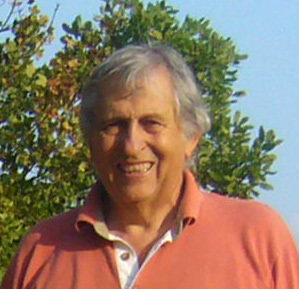 Jean Gasco led the recent archeological researches at the Roucadour site in Thémines from 1995 to 2005, and is an expert on the excavations carried out by Niederlender and Arnal. He first described the two researchers, whose archeological work had a modern dimension despite their amateur status. 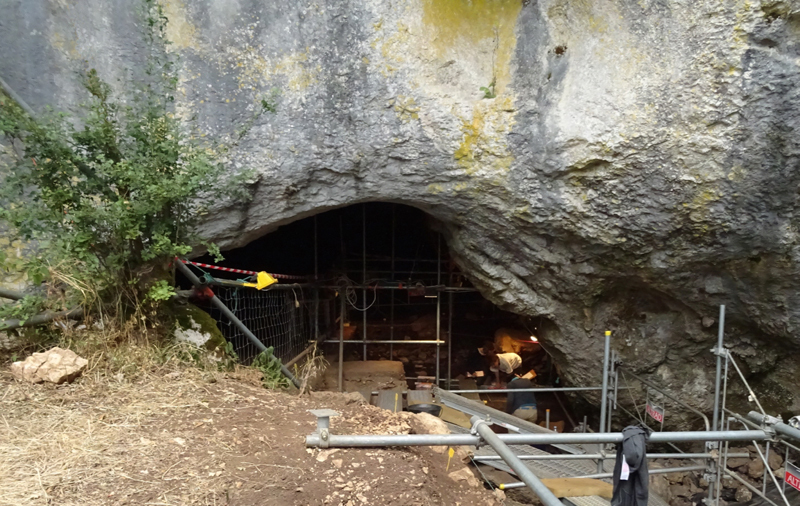 First André Niederlender and his passion for excavating local sites: the Pagès shelter, the cave of the Merveilles at Rocamadour, Cuzoul of Gramat and the Roucadour cave at Thémines. 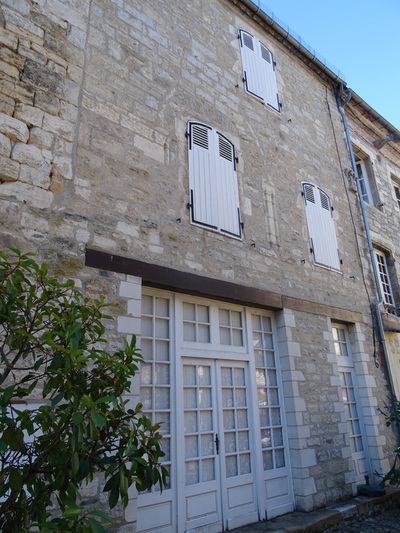 His was a passion born in adolescence and shared with the visitors to his parents' hotel, the Hotel des Voyageurs at Rocamadour station - for example, Alfred-Edouard Martel, Armand Viré, Amédée Lemozi, Raymond Lacam, and Pierre Arnal (the father of Jean Arnal) who was a family friend. 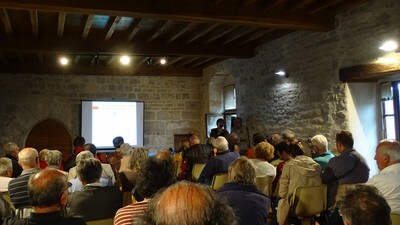 Jean Gasco talked about certain aspects of the old excavations at Thémines : the re-covering of the 'holes' after each season, the absence of a plan, the uncertain stratigraphy, the financial difficulties and, in the end, the researchers' exclusion from the site by its owner.… but also the discovery of beautiful objects and the ardour that André Niederlender put into his work over a period of 35 years, without being able to finish it. Jean Arnal, a doctor in Hérault who did not take part in the excavations but who was in close contact with Niederlender, decided to document the research himself after the accidental death of his friend Monsieur André. He published a modern work in the history of archeology which included diverse data on the climate, minerals, flora and fauna of the site. He also took the initiative to present a complete stratigraphy covering 6000 years, with stress on pottery, subdividing the Chassean and defining the Roucadourian as a very ancient period which concerned the first peasants of the Causse of Gramat. 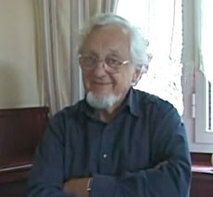 Jean Gasco first studied the site in 1995, so one could say he was André Niederlender's successor. The first problem he had was to verify his predecessors' work using modern archeological methods. Was Arnal's stratigraphy correct? 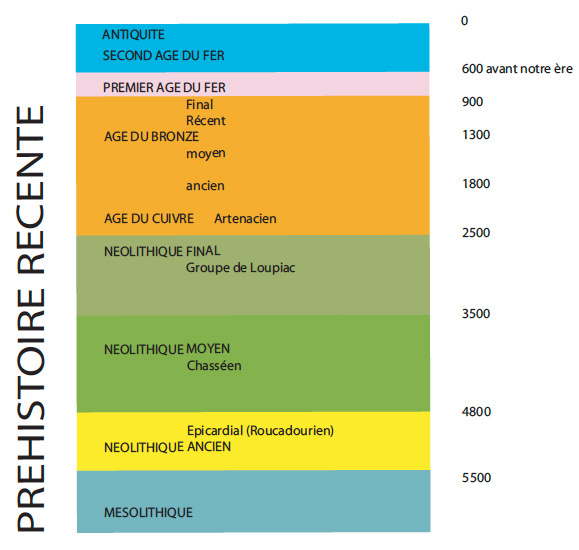 Was the Roucadourien really a chronological sequence? Jean Gasco carried out dating and observed that study of the porch was very difficult due to the phenomenon of a flow of material from inside the cavity identified in this sector. He determined that the famous Roucadourian corresponded in fact to a part of the Neolithic. Arnal's stratigraphy could therefore not be retained in full. Of what can we be certain, given the recent discoveries, about Roucadour after the Palaeolithic? During the Mesolithic the site served as an occasional camp for hunter-gatherers on the causse. They camped periodically and searched for provisions in a radius of 50km - witnessed by the flints found on the site which came from the surroundings. They lived on local resources and fed on the results of their hunting (wild horses, deer, hares...). From 3000 to 2500 years BC, during the Bronze Age, people came more regularly, built dwellings and raised animals, still continuing to hunt. It was only from the Bronze Age that the population became sedentary, installed at Roucadour. 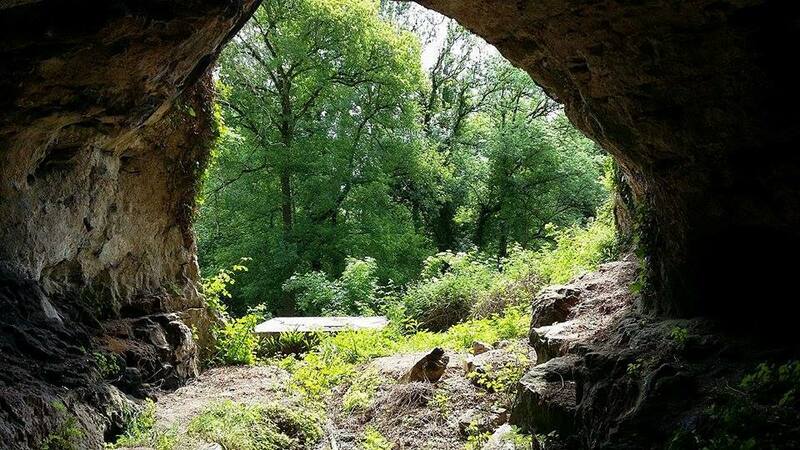 The cave served as a hiding place, a place to bury the dead. But that stopped at the Iron Age. The site was abandoned and no longer permanently occupied. 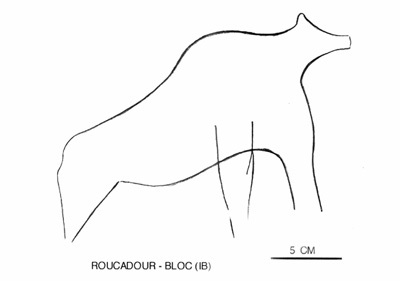 As for Roucadourian, which Arnal believed to be very ancient, Jean Gasco told us that this concept is still discussed but that it is "not appropriate at the site of Roucadour". Despite its imperfection, the research carried out by André Niederlender and Jean Arnal has furnished a considerable amount of data. It is also a very good illustration of the history of archeology. The contribution of their data to the present knowledge of this territory is indisputable. 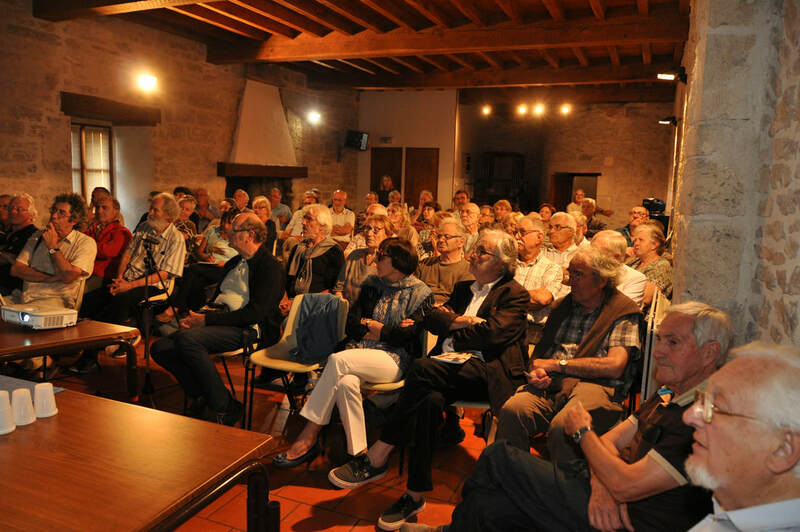 The Duguesclin room of the palais de la Raymondie was full for the conference with Jean-Pierre Laussac, secretary of the Association of the bastide of Puybrun and former director of research at the CNRS. 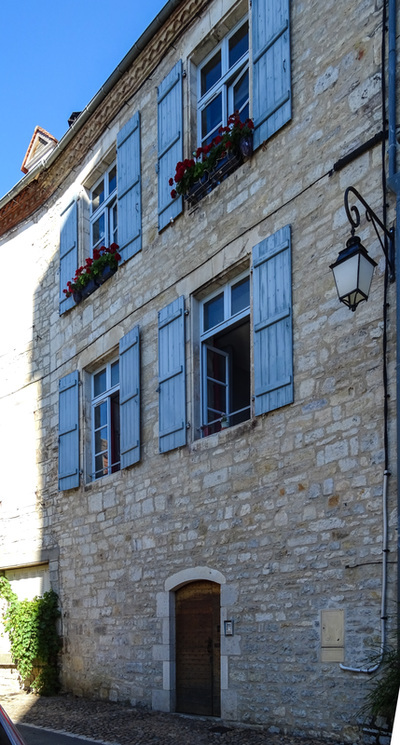 Bastide is the name given to the new towns founded, in the main, in south-western France between 1229 and 1373. Jean-Pierre explained how, between the Albigensian crusade and the Hundred Years War, these foundations responded to a number of characteristics common to the political, economic and architectural order, with the effect of channelling demographic growth and continuing the exceptional urban expansion of this epoch in Europe. He described the way a bastide was designed, constructed and functioned and answered questions from the audience as they arose. 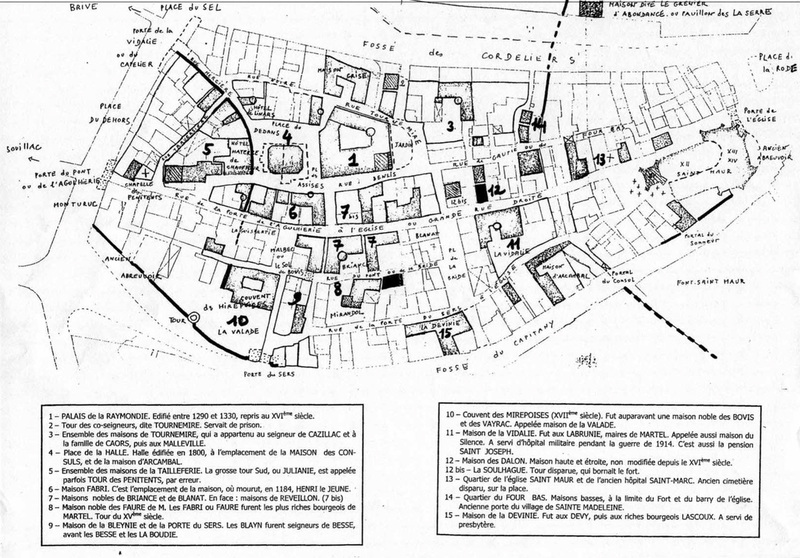 Finally, Jean-Pierre showed a series of plans and photos of bastide towns, each with its unique characteristics, which the audience enjoyed identifying : Lisle-sur-Tarn, Villefranche-de-Rouergue, Villeneuve-d’Aveyron, Najac, Labastide Armagnac, Sauveterre-de-Rouergue, Domme, Puybrun, Monpazier, Libourne, Bretenoux ... Finally, an aerial view of Montauban, a town founded in 1144, showed clearly that it could well have been the model for the later bastides. Almost one year after the association was founded, its members gathered in the palais de la Raymondie for the Assembly General 2016. 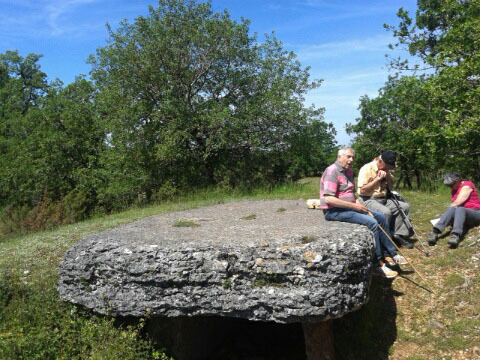 Work on the preparation of the exhibition of the dolmens of northern Lot for summer 2016. 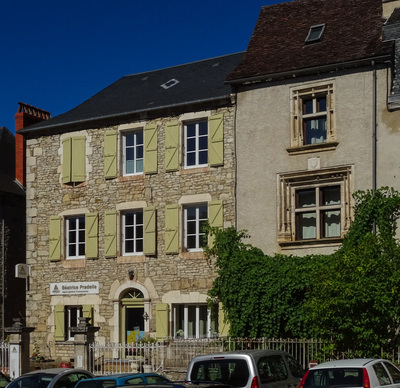 The objects of the Mazeyrolle collection in the archeological repository are currently being marked and catalogued in the premises used by the Racines Association in Alvignac. The association is doing well, with over 50 members and a comprehensive programme planned for spring and summer 2016. See DIARY DATES. Many traces exist but these would have remained unknown if interested archeologists and historians had not worked to establish this inventory. 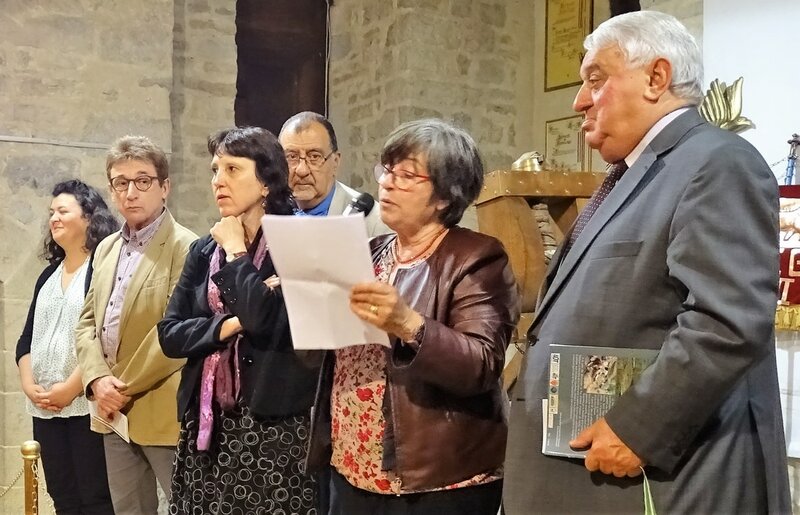 Fifteen professionals and engaged volunteers have been associated with the work taken on and carried out in this field by Jean-Pierre Girault over more than 50 years. Certain of the objects studied are on exhibition at the Museum of the Raymondie in Martel. 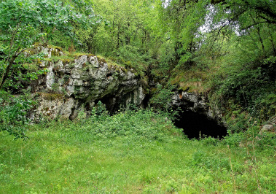 The gisement du Cuzoul is a natural rock shelter with a cavity comprising initially a large spacious room approximately 30m long and 4m to 5m high, at the bottom of which flows a permanent source from an abundant reserve of water. The shelter is at the foot of one side of a large sinkhole which is still exploited agriculturally today. The shelter was explored by Raymond Lacam between 1920 and 1933 and by André Niederlender. The site was occupied in the postglacial period of the Mesolithic (around 6000 BC). It was there in 1928 that Cuzoul man was discovered, who would have lived between 5900 et 5500 BC. Nicolas Valdeyron, professor of prehistory at the University of Toulouse 2, senior lecturer and lecturer/researcher in the laboratory Travaux et Recherches Archéologiques sur les Cultures, les Espaces et les Sociétés described the nature, period and scientific importance of the site and the latest excavations which started in 2005. Now, ten years later, he explained to the audience the difficulties of taking on a site already excavated in the past, and talked of his research into the Neolithic, his discoveries, and the way in which modern archeological methods differ from those of the past. He worked with documents and drawings left by Lacam, an engineer. But he also inherited a huge amount of previously excavated material which had to be painstakingly sifted by hand. Dealing with the debris from the old excavation has constituted a large part of the work over the years and it has slowed down progress of new research, carried out in parallel. At this date in time, August 2015, the sifting of 70m3 of excavated material from Lacam's trial hole has just been completed and work can now move on to the zone which Lacam intentionally left for future researchers. Nicolas Valdeyron's team of 20 young people, which included three PhD students, joined the members of the public for this very interesting conference. He spoke for two hours, after which the audience posed many questions. In particular about the way in which the people of the time lived. Valdeyron replied that their life was not too bad because food was abundant and life expectancy longer than that during the following Neolithic period. It now remains to study the skeleton of Cuzoul man, this inhabitant of Gramat now at the Institute of Paleontology in Paris. At the time, Lacam could not date it but modern methods will yield much information, in particular thanks to DNA analysis. The meeting took place in the palais de la Raymondie. Our distant ancestors, after having been scavengers, improved and diversified their diet thanks to the discovery of fire around 500,000 BC and in the Upper Paleolithic they were already combining the products of their hunting and fishing (principally reindeer, salmon, trout...) with the wild fruits, herbs and mushrooms that they collected. This diversification increased in the Neolithic thanks to cultural changes, raising of animals for food and the manufacture of pottery for many uses. An example of foodstuffs is provided in the Fotsiliero cave near Thémines where M. Lorblanchet discovered the base of a hearth dating from 800 BC. 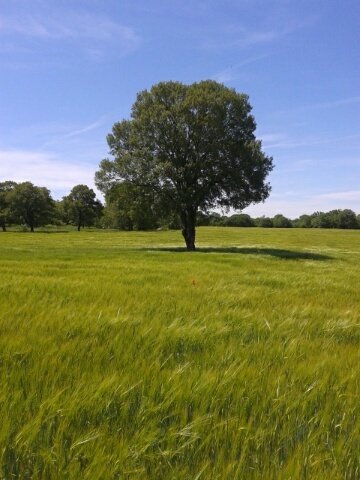 This discovery enabled the reconstruction of the foodstuffs used by the population of the causses in the Iron Age - barley and wheat pancakes, dogwood fruits, wild apples that were grilled to make concoctions - a reminder for us of the coffee of the second world war. All this was associated with beef, wild boar and mutton bones. Our ancestors, in becoming sedentary, continued to benefit from all that nature provided, with plentiful game and with only a small population. Did they stock and conserve their food? M. Lorblanchet responded that this was achieved by drying, smoking and conserving under cinders - methods used in more recent times for preserving pork - or simply making use of cavities rich in carbon dioxide like the Igue Blanche near Sauliac (Bronze Age). As for salt, it only appeared in ancient Rome, but perhaps foodstuffs were already sufficiently salted by their own mineral salts. 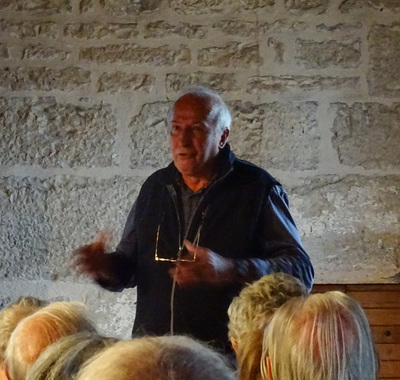 Jacques Laporte finished by saying that our ancient Quercy recipes go back in time, with two key examples : soup (at least 30,000 years of existence) and jam made of dogwood fruits. 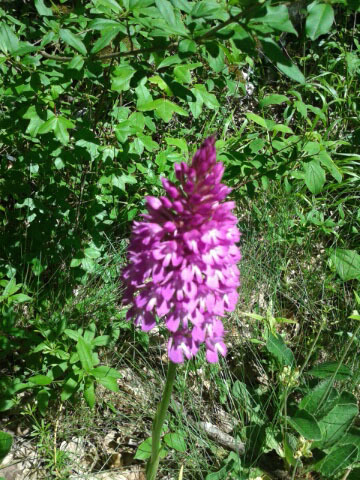 Finally, the way many great chefs of today seek out wild produce, such as mountain herbs, surely represents a return to our sources and to well established culinary values. What we call prehistory varies a lot. We mean the Lower Palaeolithic and the Upper Neolithic. In the Orient, prehistory starts at 10,000 BC while in western Europe it is around 5000 BC. After that comes the Europe of metals. The aim of this event was not to teach about prehistory, but to get to our culinary roots - a culture, a civilisation, the art of eating well, a precious heritage. There is of course a difference between the diet of the Palaeolithic and that of the Neolithic because the climatic conditions were not alike. From the Paleolithic we have soup, boiled meats, grills, smoked meat. 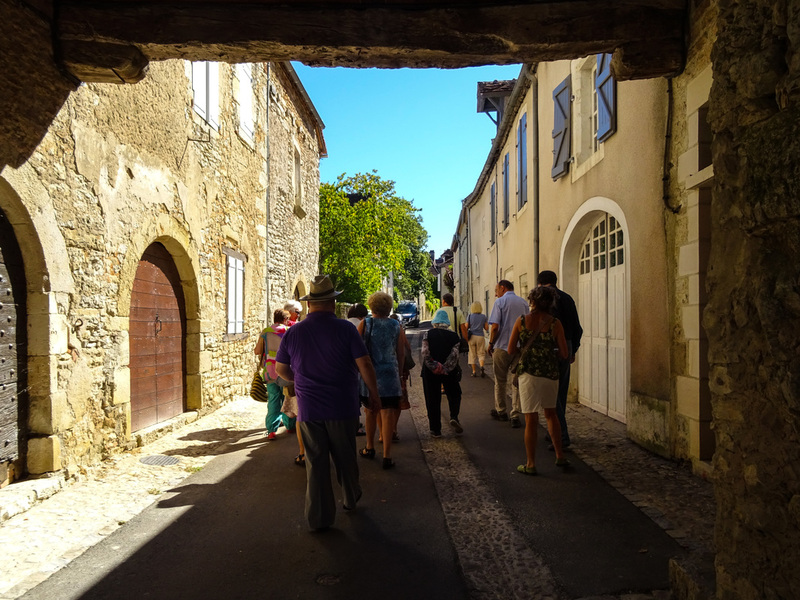 Hunting, fishing and harvesting were the three main sources of daily food in Quercy. Wild berries such as blackberries, fruits such as dogwood, edible herbs, mushrooms, many fish, shellfish such as river mussels and crayfish, reindeer meat - all this was of course dependent on the locality. The people probably used certain preservation techniques such as smoking and drying. Our Paleolithic ancestors, living in difficult conditions, would have had to adapt and find a certain way of life. Here we are talking about Neanderthal man, a species of homo sapiens. In the Neolithic, these traditions continued and I think we could even say that the culinary arts exploded at that time. The climate changed - it reheated - and agriculture and the raising of animals developed. Man become sedentary and built dwellings in preference to living in caves. Hamlets appeared, where dwellings were gathered together. The cuisine became more elaborate thanks to the women who created pottery for multiple uses, and to the men who fished and cultivated the earth. Barley and leguminous plants such as vetch were grown and the seeds, beans and peas dried or ground into flour. Flax was very common. Various 'processed foods' were made - a sort of curd cheese made from milk - cows date back to 6,000-7,000 BC. The horse is more recent at 5,000 BC. Cavaliers domesticated horses. Jam was made with dogwood berries, sweetened with honey. Even a sort of coffee was made by grilling grains of barley or acorns. Salt came later, in the epoch of the Gauls. Cattle were raised, and sheep, goats and pigs. Hunting and gathering continued alongside animal husbandry. The workshop was organised by the Association OTZIAL and the Amis du Musée de la Raymondie with the prehistorian François Moser, former curator and events organiser at the Labenche museum in Brive. The workshop took the form of the reconstitution, based on scientific sketches, of buttons, necklaces and beads worn in historical times. Although designed for children, on the day the workshop also attracted adults who joined in enthusiastically! A team of members of the association has been working on cleaning the objects from excavations at Uxellodunum and elsewhere, under the expert eye of archeologist Pierre Billiant, with a view to creating further exhibits for the museum in the future.